This was written by my Dad on each day of our adventure with a little of my own perspective thrown in (he stopped writing after Pompeii), my voice is in purple ;-) This is extremely cut down from the original travelogue and considering I (literally, not kidding), took a thousand pictures (not to mention the hundreds Dad took), I’ve edited them down to my favorites. It has taken me FOREVER to get this up because, as I said, I took so many pictures it was hard to even get it down under 100 photos. 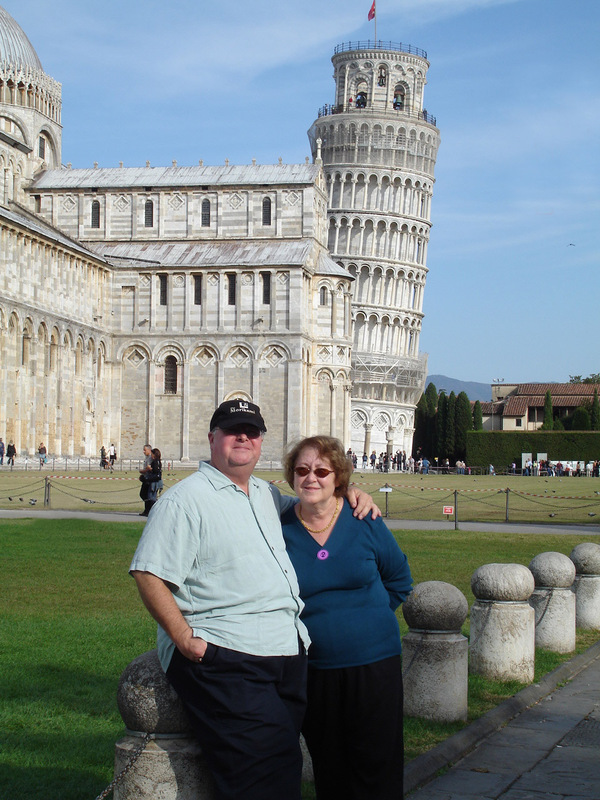 We were off on a return trip to Europe for Mom, Megan’s first cruise and Dad’s “dream” vacation! 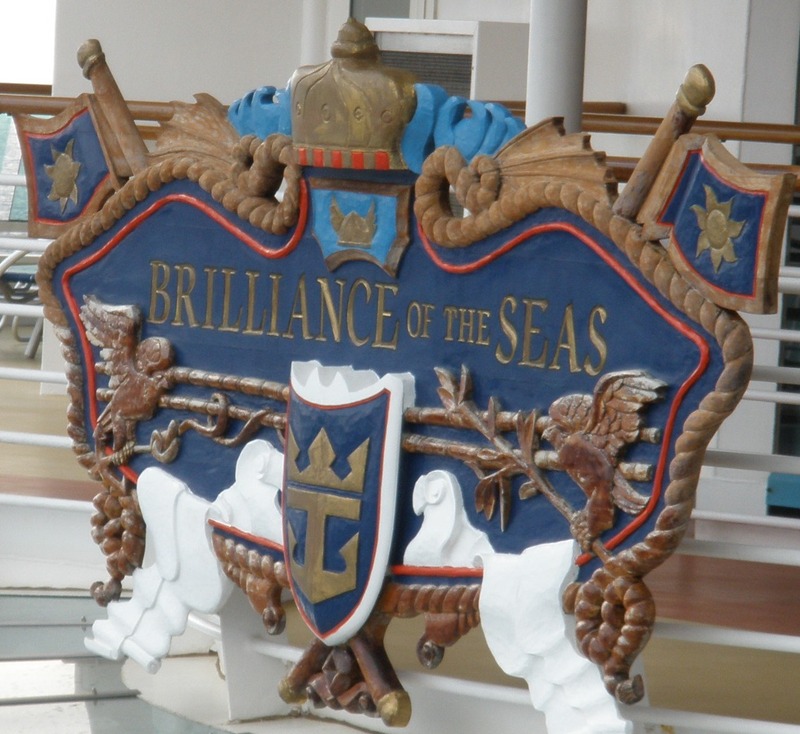 A twelve day cruise to Italy (and passing through Spain and France) on Royal Caribbean’s Brilliance of the Seas. The day had arrived and we were set to fly out at about 5:00pm for a flight to JFK and then overnight to Madrid with connections to Barcelona. Long story short, Delta did not let us board the plane at RIC because we didn’t have “paper tickets.” Dejected and P.O.’d, we left the airport. “Day 1” of our trip should have started at 7:00pm that night as our ship left from Barcelona. We would miss our planned excursion to the Grand Casino in Cannes, France. But instead it was “Day 2” of our cruise and our fellow passengers were enjoying Cannes. In the meantime, we were flying high above the big blue ocean on our way to officially start our vacation! 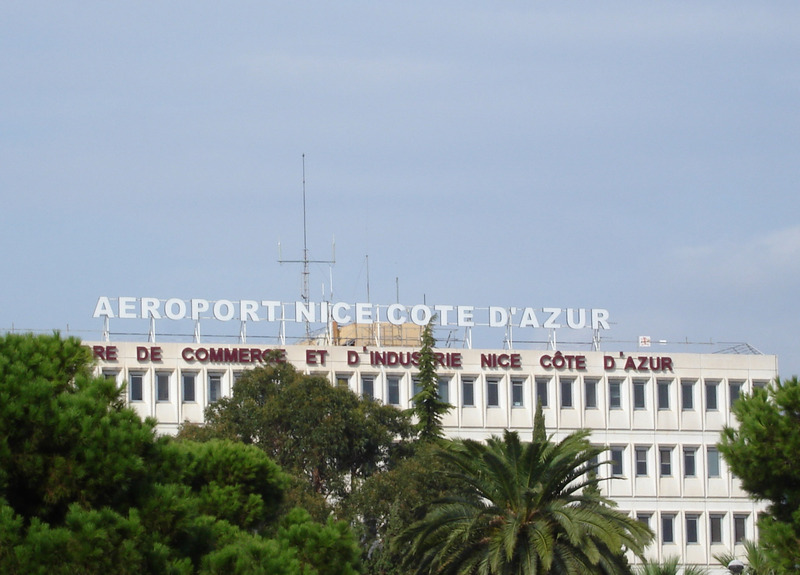 We landed in France!! OUR VACATION CAN ACTUALLY BEGIN!!! We had great weather for our first day, warm and sunny. 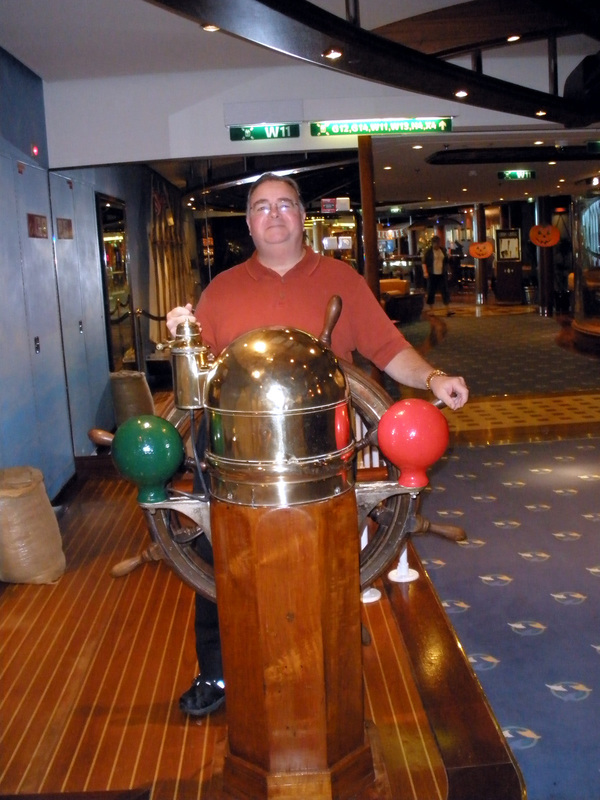 In fact, the weather for the entire cruise was very good for late October in Europe. Our first evening was a blur…exhaustion from two days of little sleep and a six-hour jet lag. Our dinner seating for the trip was scheduled for 9:00pm. 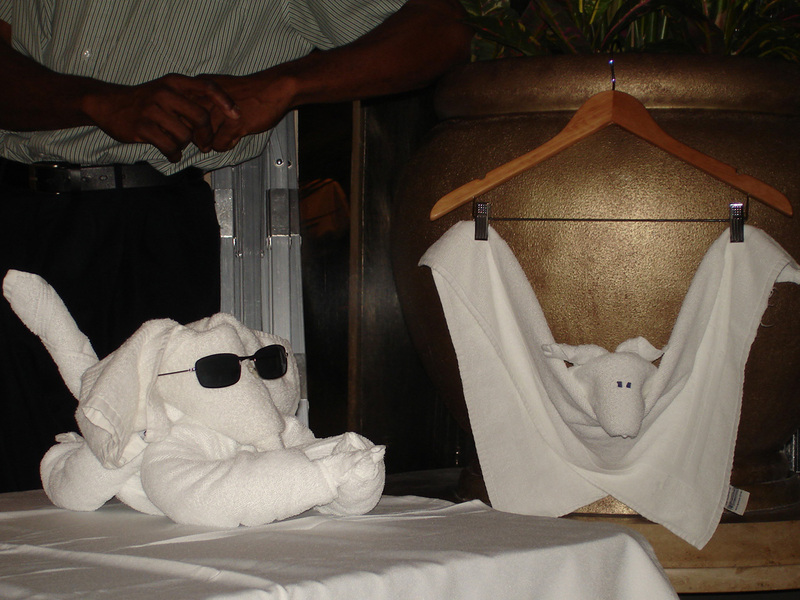 We joined our table mates for our cruise; our waitress was very personable and attentive. We skipped the evening show and went right to bed. 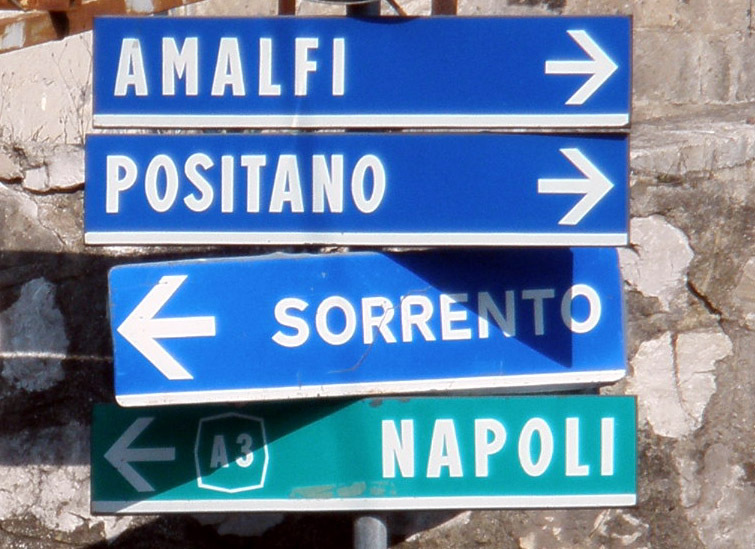 Our first official port is Livorno, Italy. Up at 5:30am! 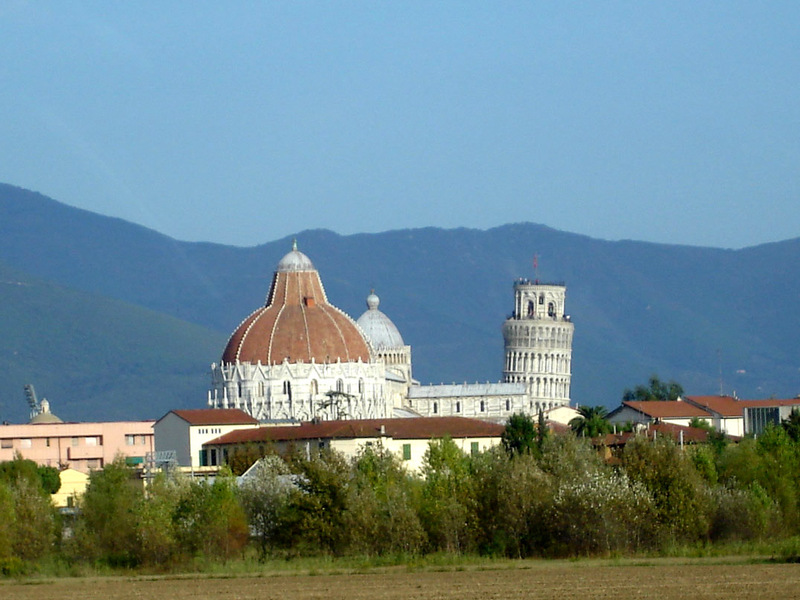 We were on the 10 hour “Florence/Pisa” tour where “guests should be able to walk 3.5 miles over even and cobblestone streets, etc.” The ride into Florence was long but the scenery in the Tuscan countryside and cities was very interesting. Very beautiful with rolling hills, houses, vineyards and farms. Our very knowledgable tour guide told us that the main products out of the Tuscan region are Extra Virgin Olive Oil and Chianti. 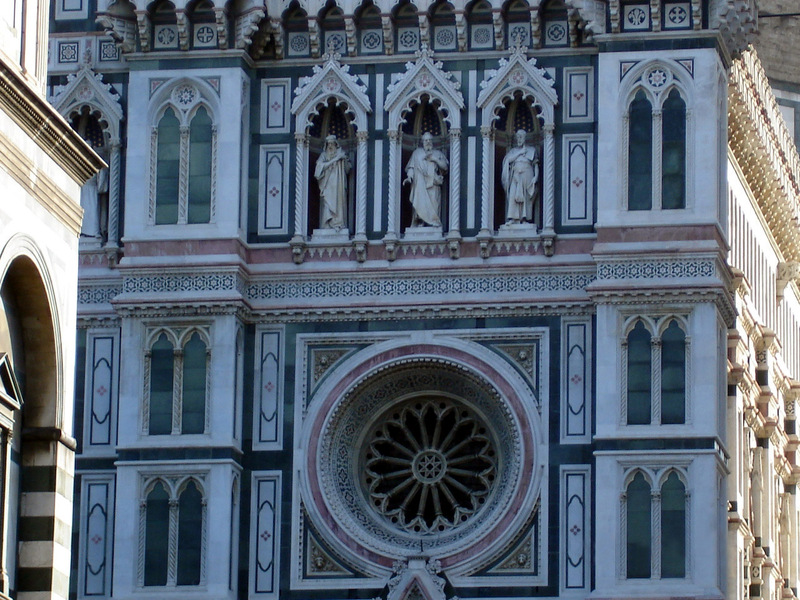 The bus parked and we walked a few blocks to Santa Maria del Fiore. 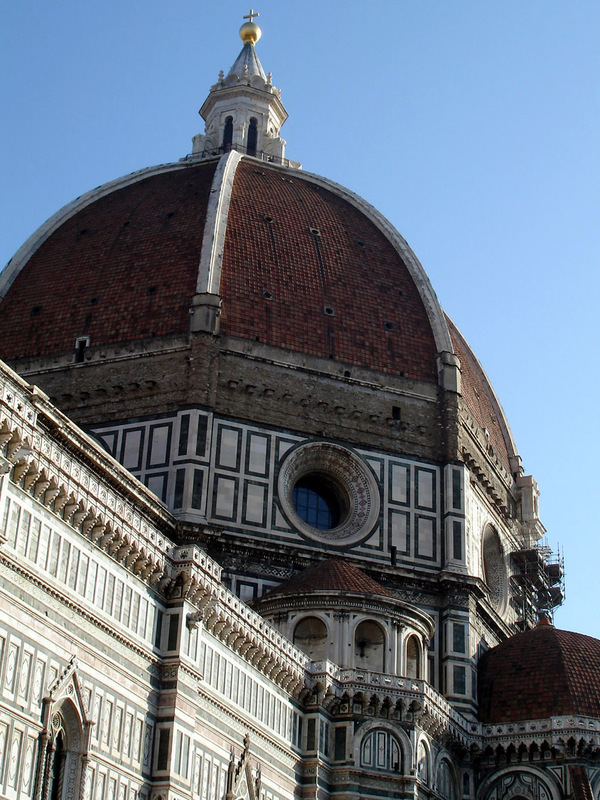 Research reveals that the dome, or Duomo, is still the largest brick and mortar dome in the entire world. 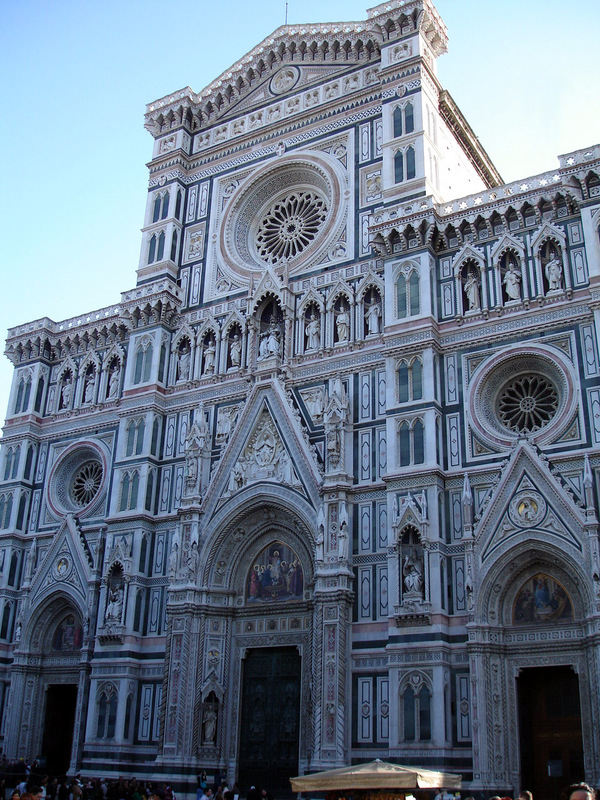 It was built by Brunelleschi over 600 years ago and was definitely a sight to see! 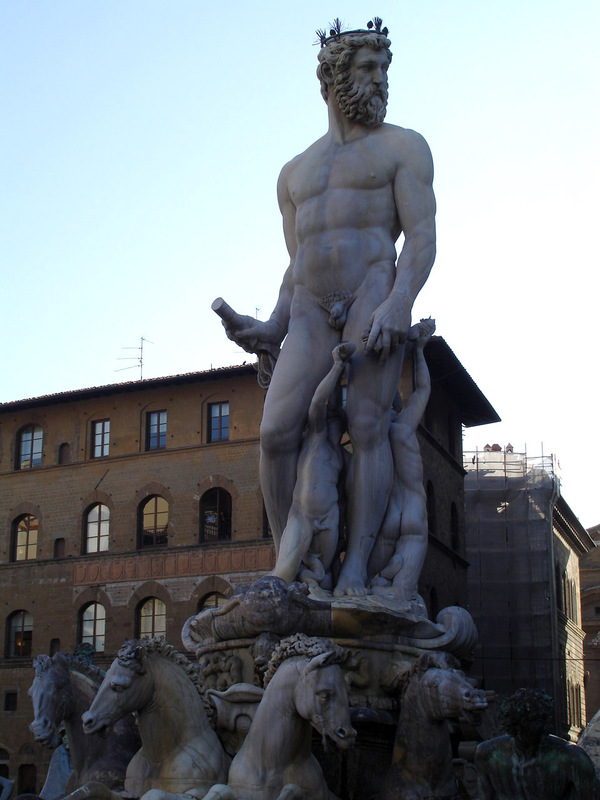 famous, the David, was covered for cleaning so we couldn’t even see the copy! 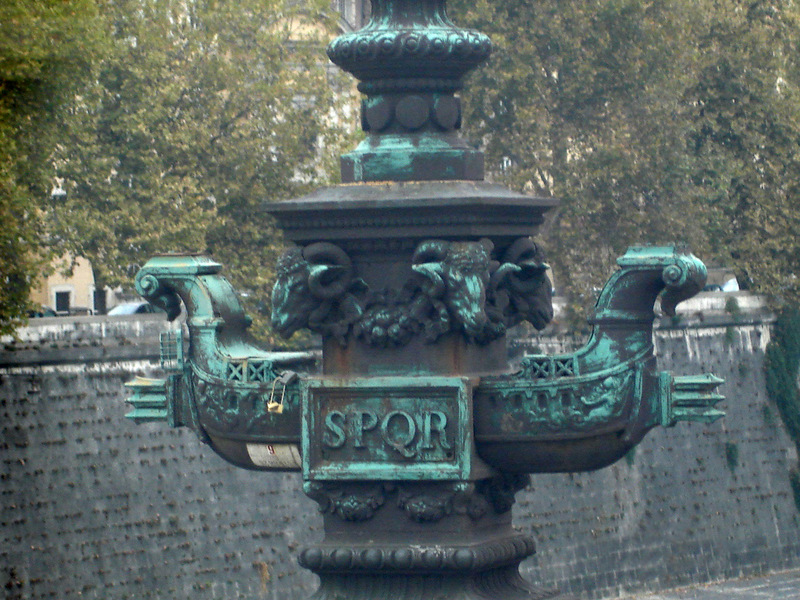 There was a fountain by Ammanati, “The Fountain of Neptune,” which was quite impressive. 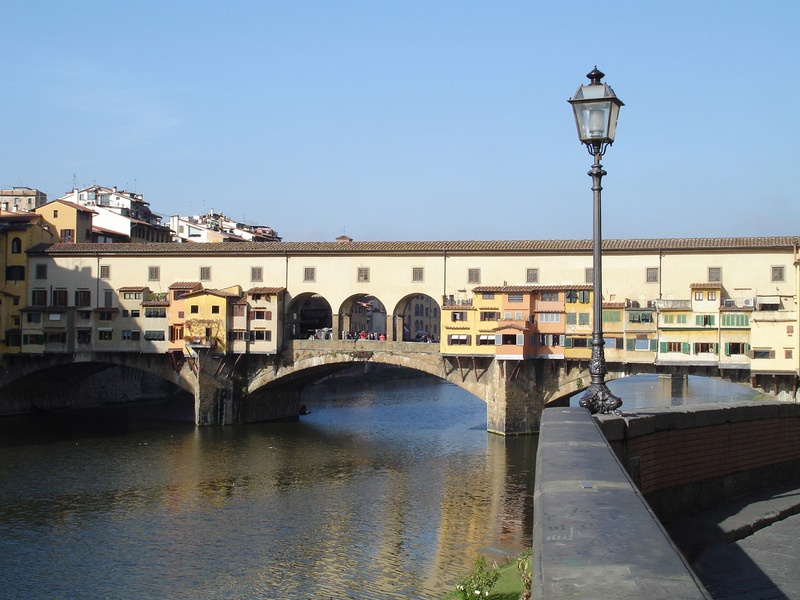 We walked past the Uffizi Museum (exploring the museum was not on this tour), as we headed toward the Ponte Vecchio Bridge. Walking/shopping on the bridge was not part of this tour either, so we just had to settle for looking at it from a distance. 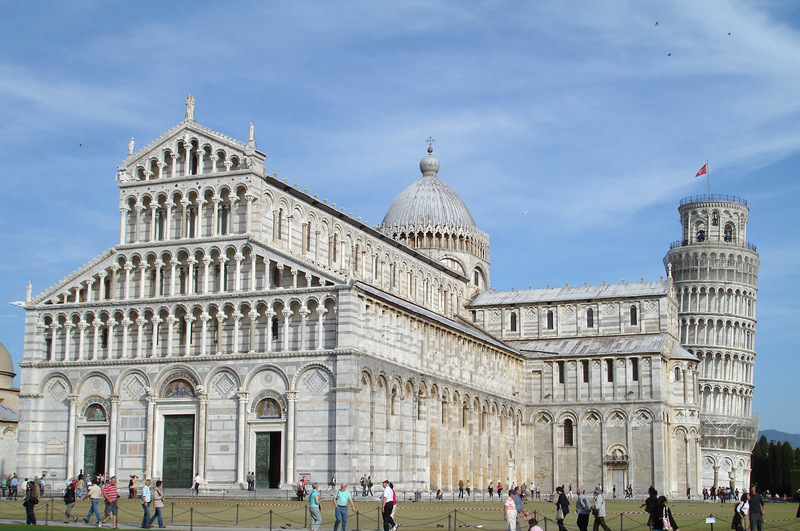 Our next stop was Pisa. The bus parked and we had about a half mile hike to the walled area which held the Tower, Duomo and other buildings. The compound was a beautiful sight, everything was marble and huge. 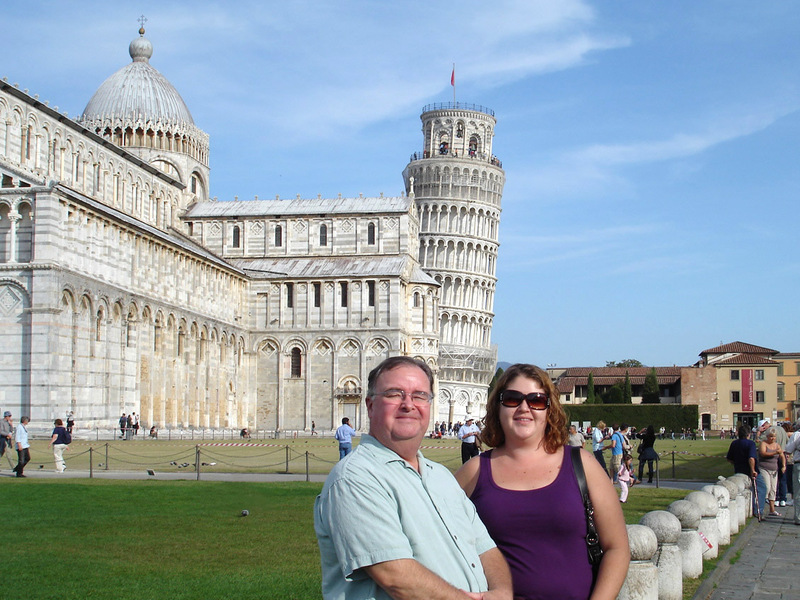 All of the tourists were taking pictures of each other “holding” up the leaning tower, but we resisted the obvious and just took some family pictures of it in the background. 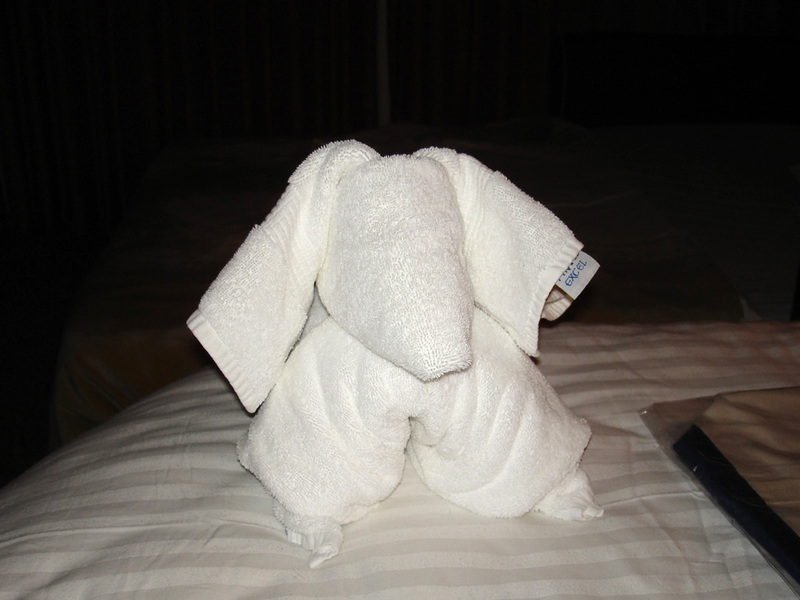 As we slept soundly again, the ship transported us from Livorno to the port of Civitavecchia (Rome!). Up early again! 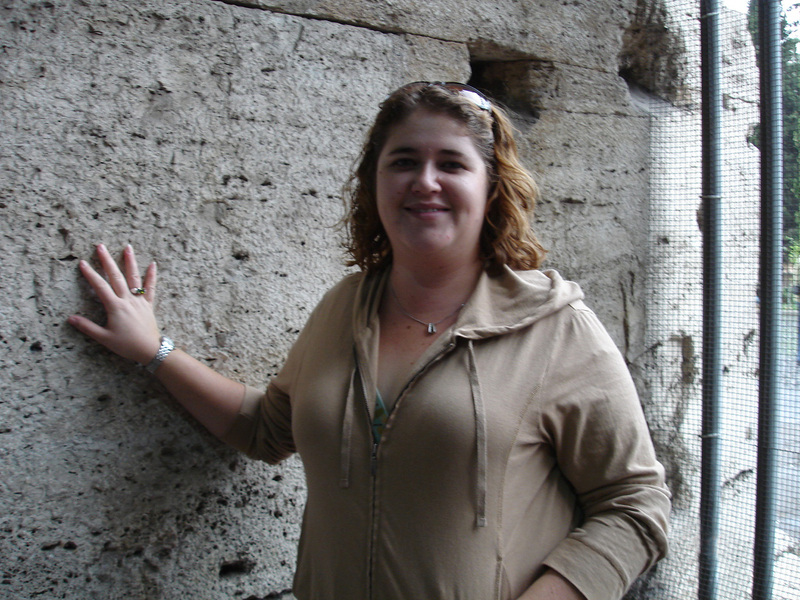 We were booked on the “Exclusive, Best of Rome” tour; 10.5 hours, 3 miles over cobblestones, with extended periods of standing. The additional expense of New Balance walking shoes and comfort sole inserts was worth every penny. 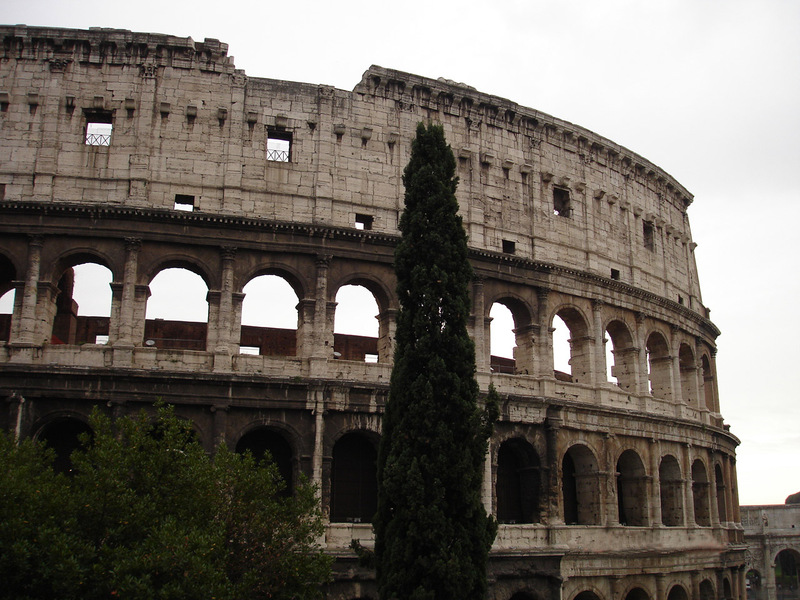 The bus ride into Rome was fascinating! We got to see the countryside and everyday life in a large European city. So many motor scooters and their death-defying drivers. 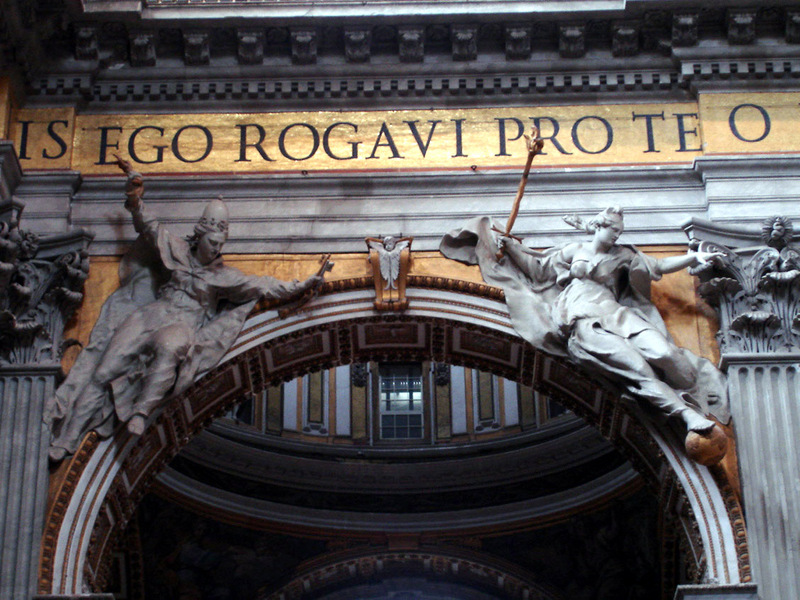 They weaved in and out of traffic and the principle traffic rule (as stated by our tour guide), is that there are no traffic rules in Rome. 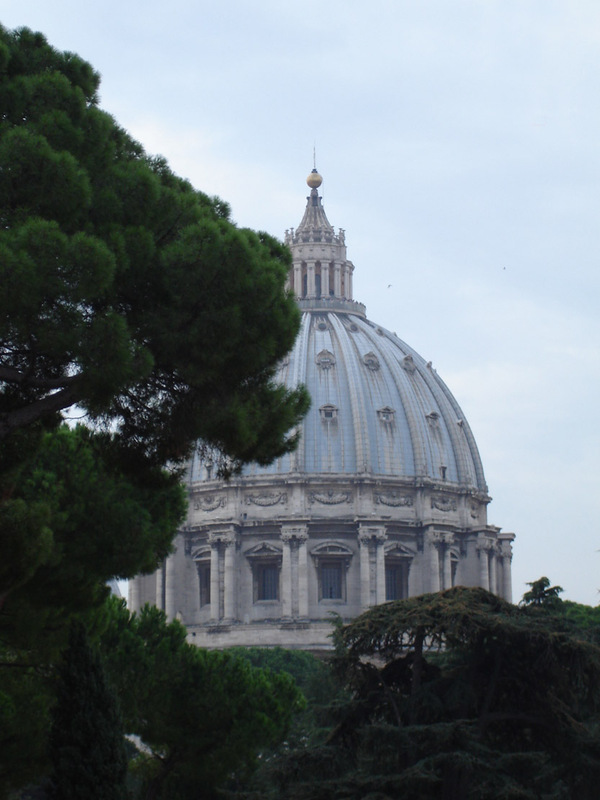 Our first stop was Vatican City. 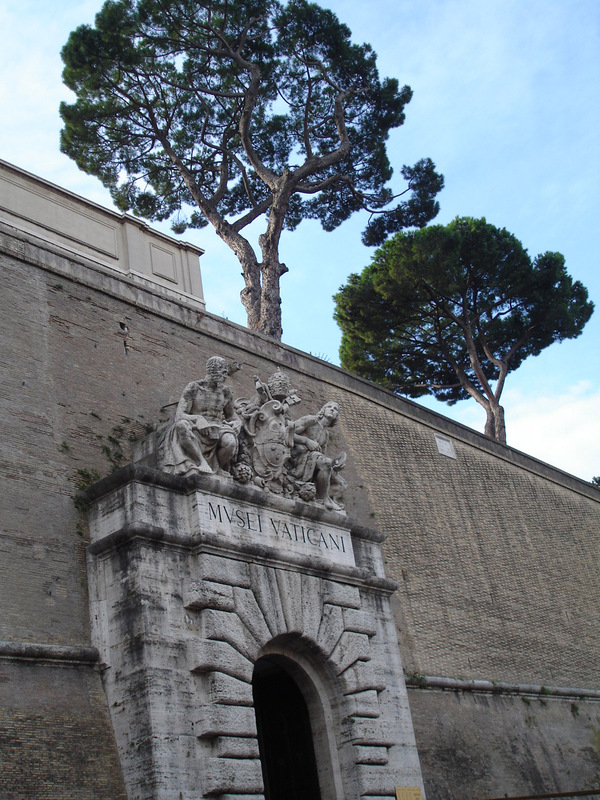 Our tour wound through only a small part of the Vatican museum. 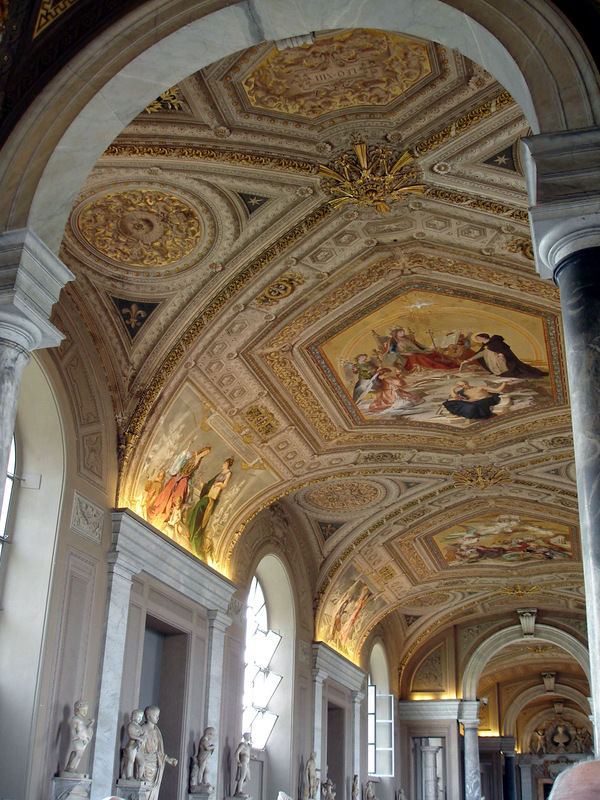 Our guide subjected us to an overly long dissertation on tapestries but then we passed through two long halls filled with marble sculptures; magnificent! 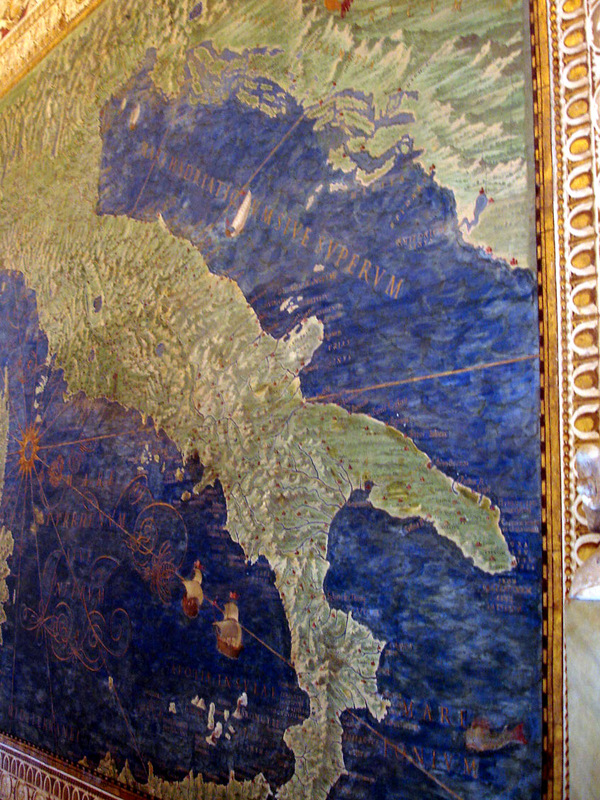 We walked through the Map Room, which was extremely interesting to see a “birds-eye view” of Italy when they didn’t have an actual birds-eye view, it was all done scouting by boat! 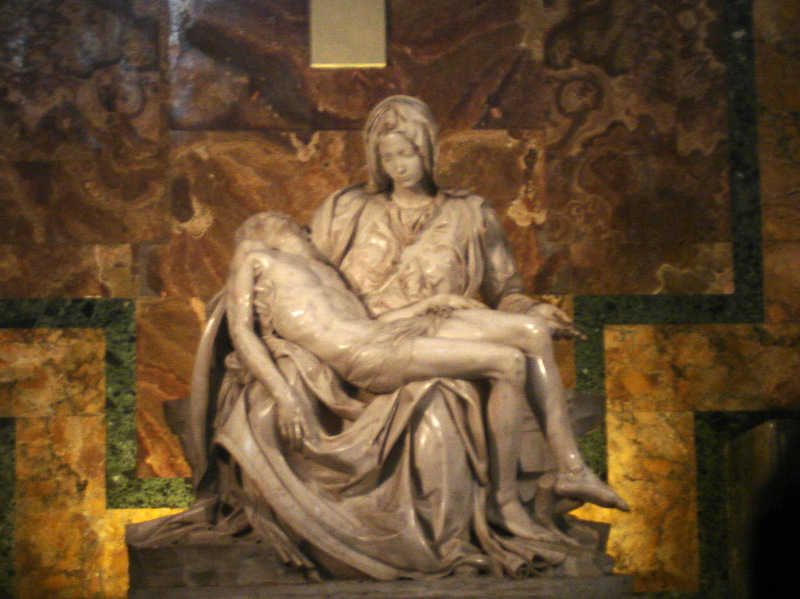 Our tour lead us into the main church where we came upon Michelangelo’s famous statue of the Pieta. The room was, again, filled with people and the statue was behind a Plexiglas shield but was beautiful nonetheless. 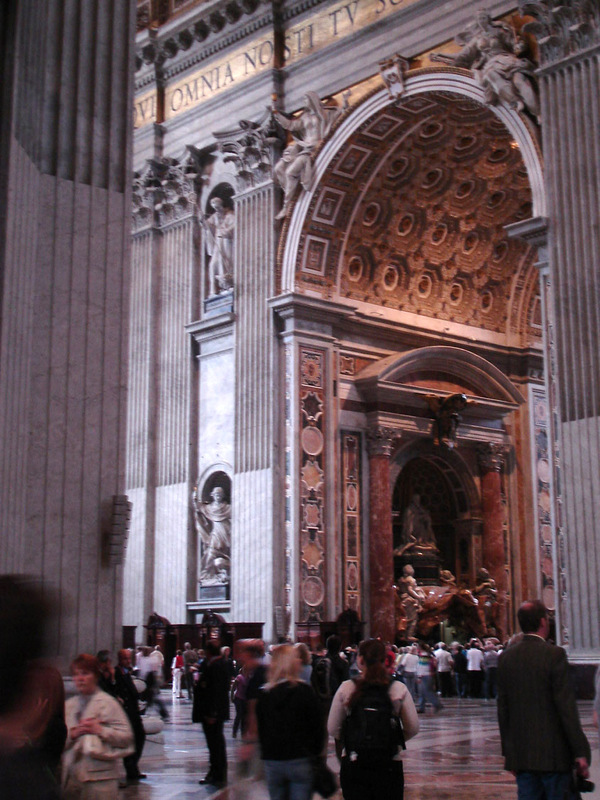 The church itself is HUGE and everything is marble. 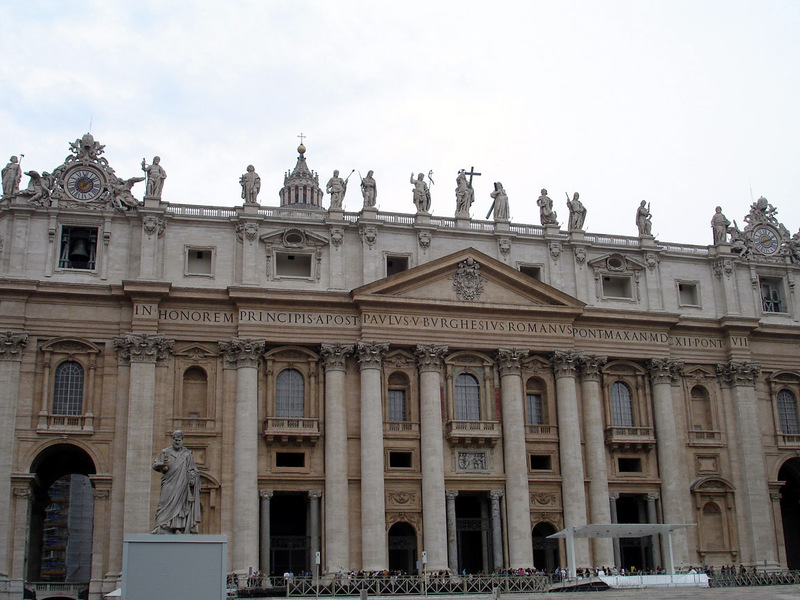 After some exploring, we are eventually led outside to the historic St. Peter’s Square but we saw it from the OTHER side, facing out. 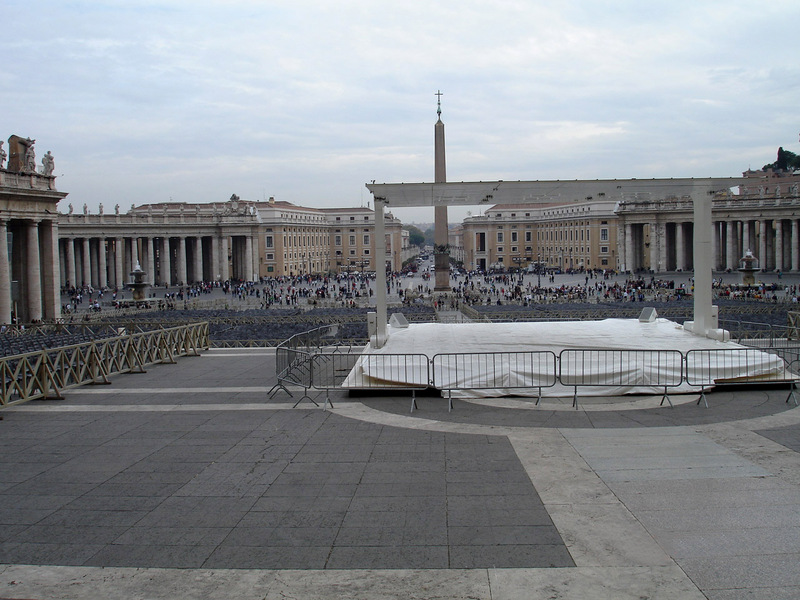 Usually photos show the scene looking into the square and toward St. Peter’s. 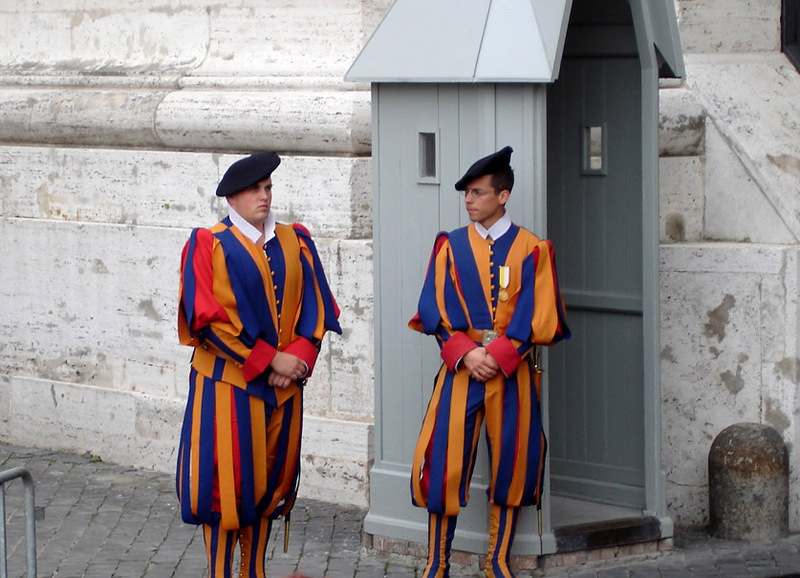 We took a picture of two of the Papal Swiss Guards in classic uniform. Off again by bus (what a day!) 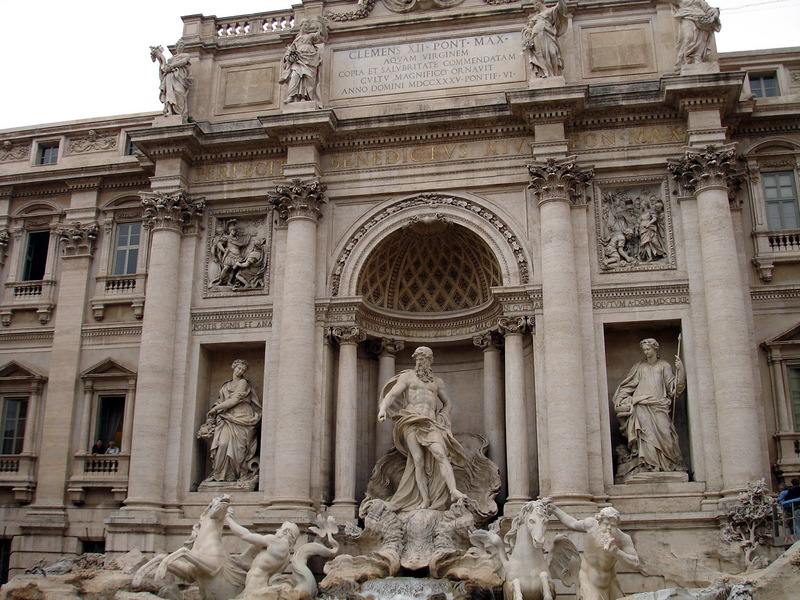 to see the Trevi Fountain. The guide mentioned that the fountain is too large, from a design perspective, for the square it is placed in and she’s right! Very large and spectacular! People were sitting on the stone structures all around the fountain and were having their pictures taken. 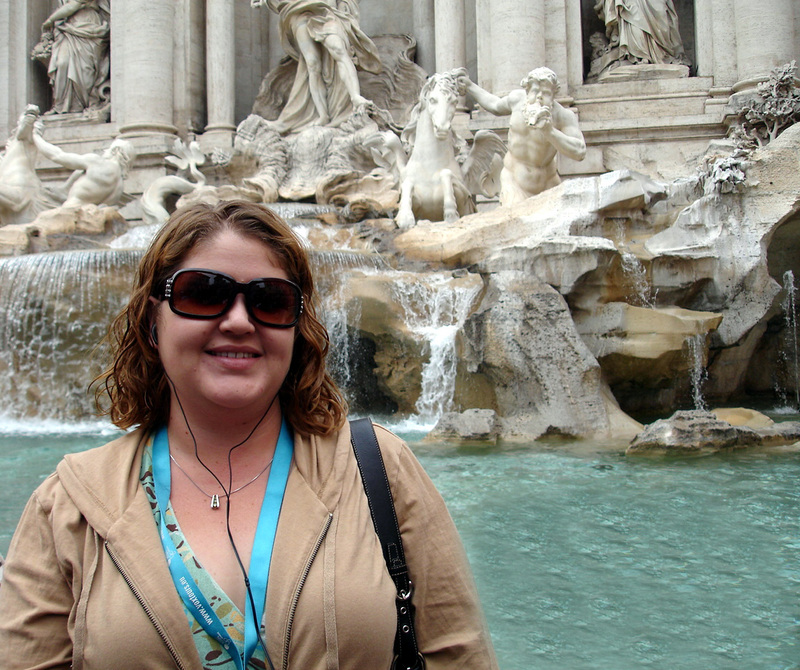 Cathy and Megan threw coins in the Fountain for good luck and a promise to return some day! Back to the bus and on to the Coliseum! Once again, traveling through foreign towns was one of the highlights of the trip. Seeing how people lived, the stores, the motorbikes, etc. The Coliseum is so large! 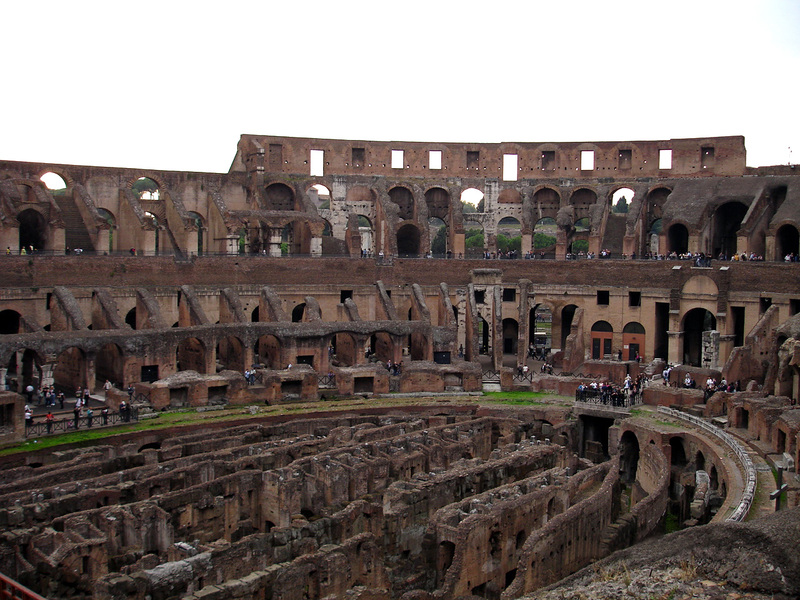 Imagine how large it looked to new visitors to Rome in ancient times when it was in working condition. Too bad it’s a ruin! Cathy and Megan climb up to one of the seating levels to get a better picture while Dad sat on a ruined column resting his feet. 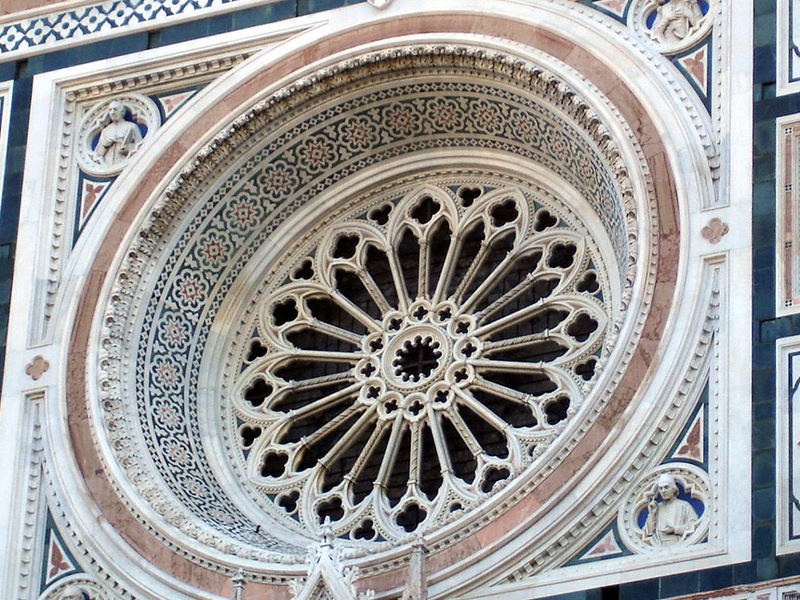 After years of studying it in class and seeing photographs of it, I was actually there! 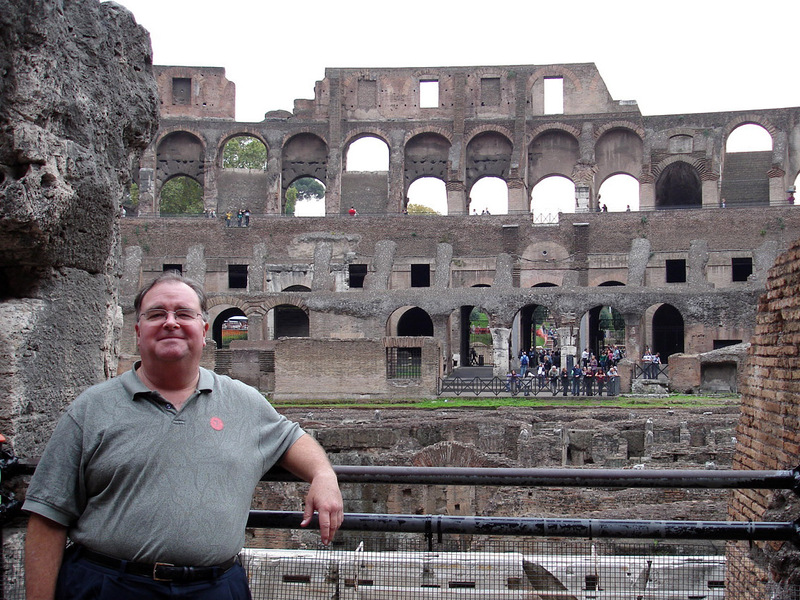 I was actually in Rome viewing the Coliseum with my own eyes! That moment truly was a dream come true. To be standing in such a historical architectural feat was just beyond words. True, it is a ruin, but it is still there for us to appreciate. 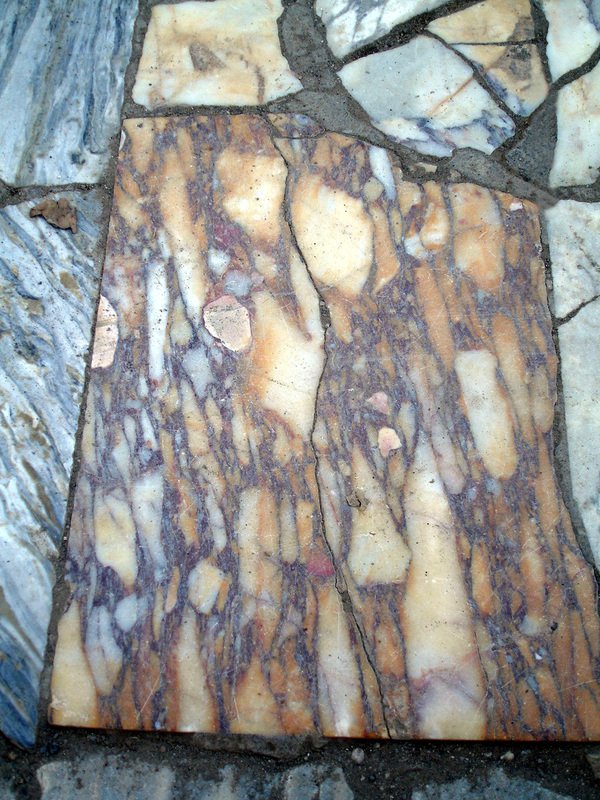 I was able to touch 2,000+ year old marble! I took as many pictures as humanly possible to be able to say, 40 years from now, that I was there. Whew! 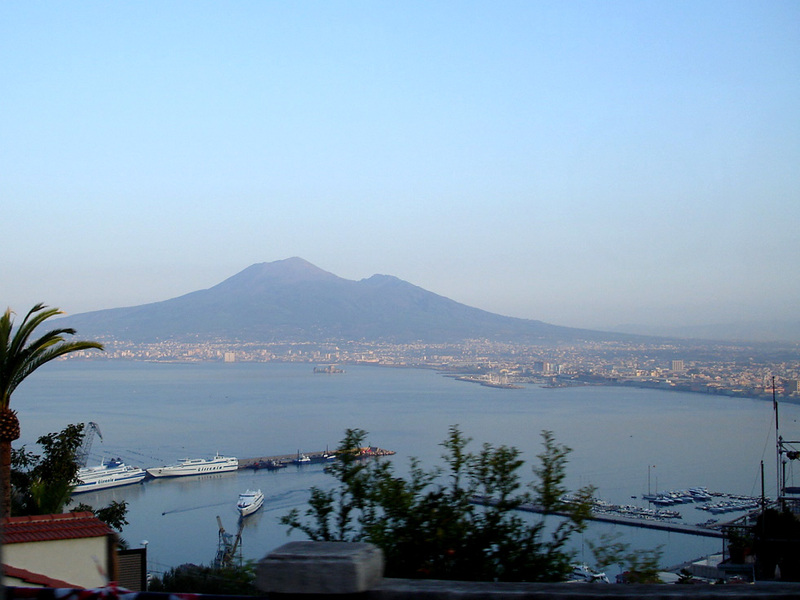 Up early again as we docked in Naples (Napoli). 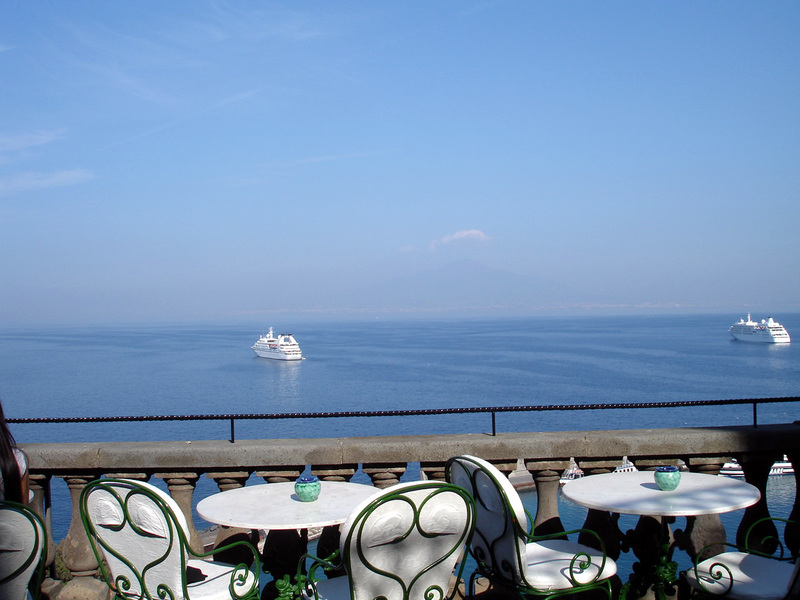 We were signed up for the “Exclusive Amalfi Coast, Positano, Sorrento & Pompeii.” As we left the Naples harbor, we passed through town and could see Vesuvius in the distance. 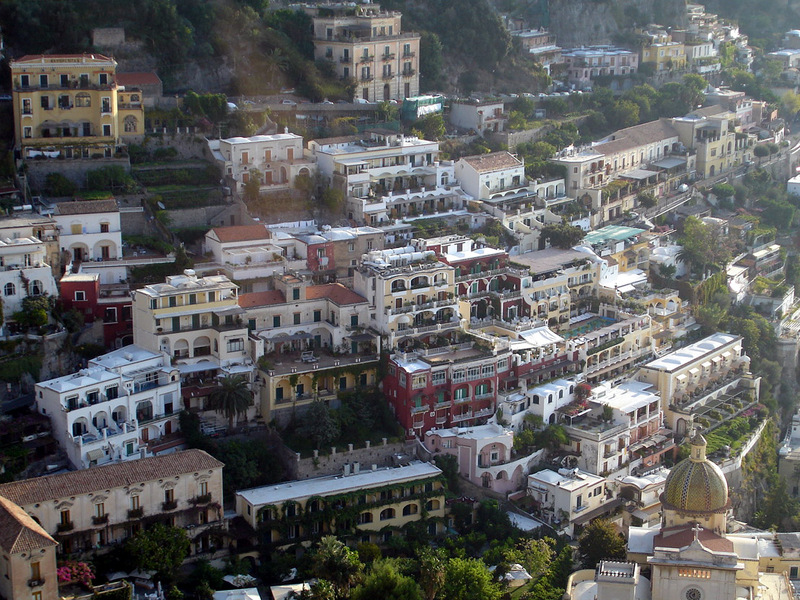 The drive down to Positano was absolutely breathtaking (and a bit nerve-wracking). We were high up on a cliff and our driver negotiated each hairpin, switch back turn with ease. But it was terrifying for the passengers! We finally reached the town, the bus parked and we all piled out. Cathy and Megan walked down to the beach while Dad visited some of the stores. 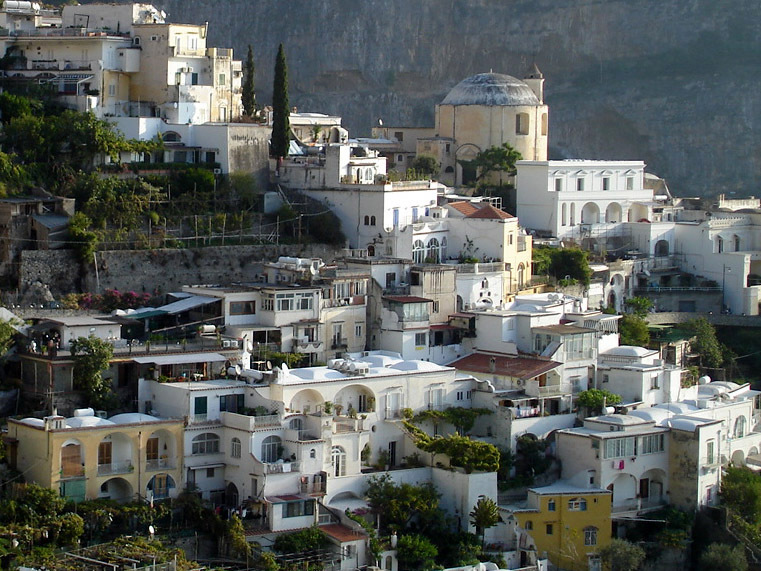 We certainly understand why the Amalfi Coast is such a popular tourist attraction. Back on the bus and on the way to Sorrento. Our guide pointed out the window to three islands off in the distance. They are the legendary islands of The Sirens from the Greek myth of Odysseus. We stopped in Sorrento and were unloaded directly into the marquetry shop to get a tour of the furniture and polished and inlaid wood. We already have some inlaid wood items at home so we passed on the souvenirs but Megan bought some venetian glass “candies” and a small inlaid wooden box, just a few small tokens. 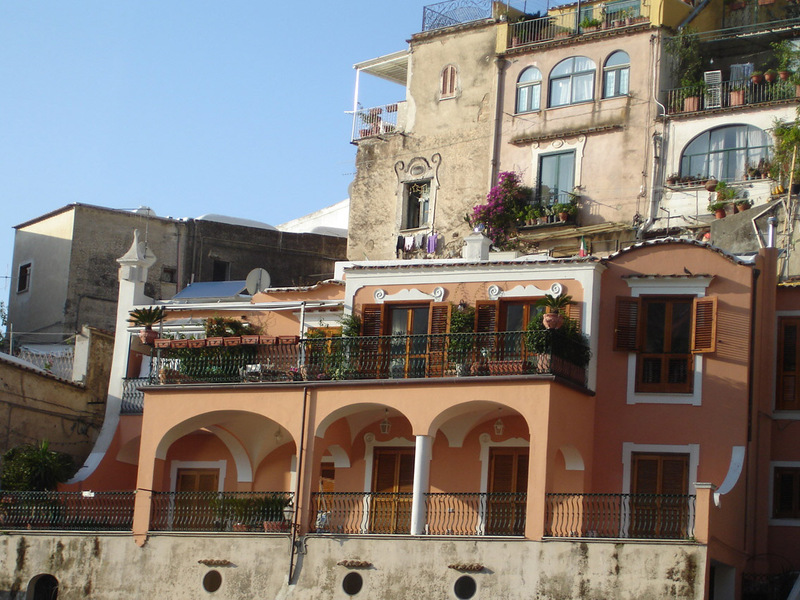 We get turned loose to walk around Sorrento and headed for the alley of shops across the main street of town. We had to buy some lemoncello; a lemon liquor. It’s lemony, alright! 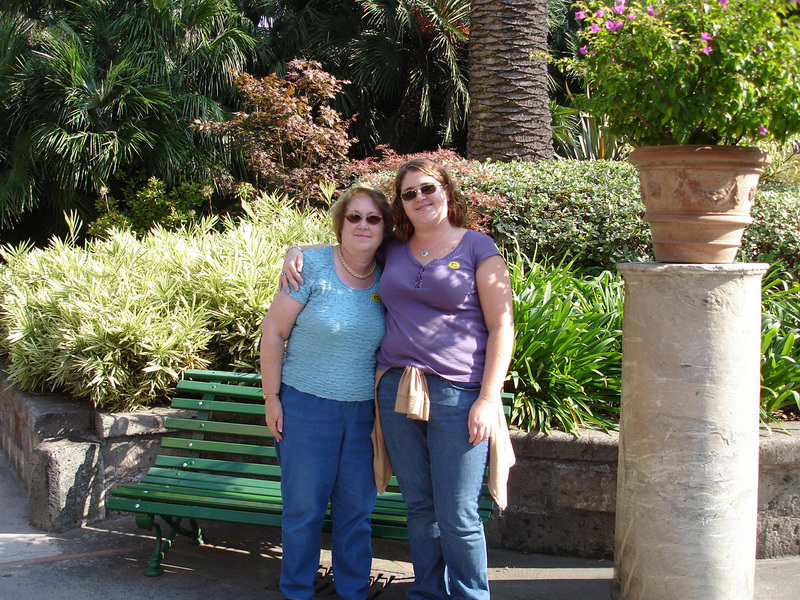 After about an hour we met up with the tour guide and strolled through a garden to a local hotel for lunch. 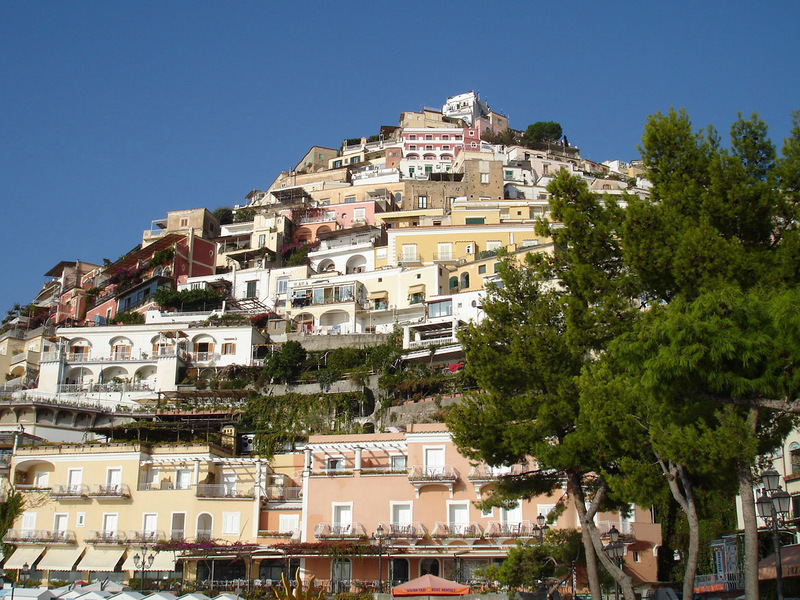 The hotel is over 200 years old and stands on a cliff overlooking the ocean. We ate appetizers on the patio and then a great lunch in a large dining room overlooking the ocean. The food and service were extremely good and the hotel was beautiful. The bathrooms were all marble! It would be wonderful to spend a night, but the room rates started at 300euros/night. Yikes! We enjoyed a salad with tomatoes that are grown on Mount Vesuvius and they were absolutely delicious. 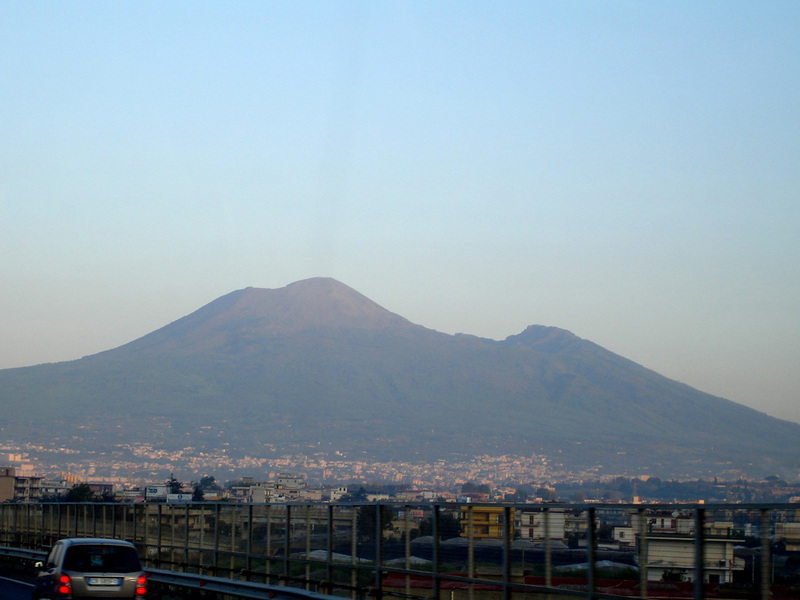 Because volcanic soil is so fertile, much of the fruits and vegetables in Napoli are grown right on the mountain. Although we drove past it at high speeds, you could see houses and farms right on the mountain (which is still an active volcano). 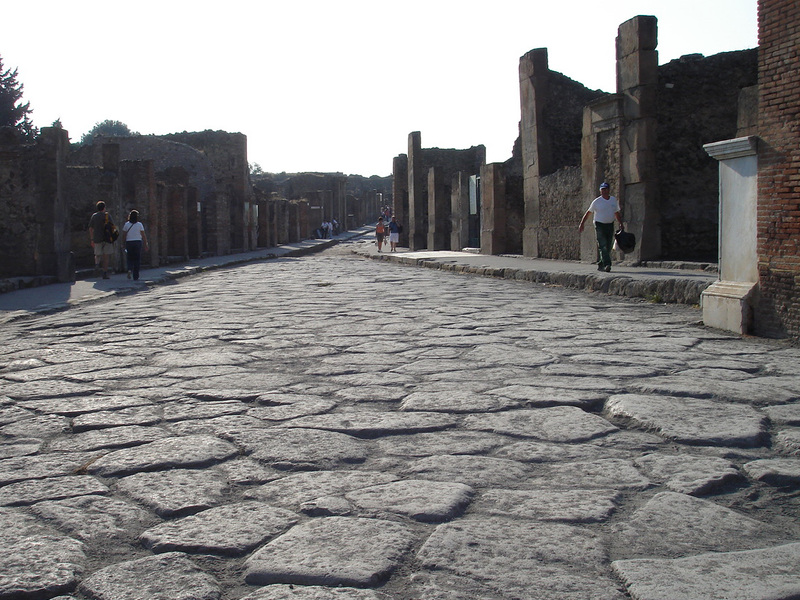 After lunch, we boarded the bus again for the drive to Pompeii, the seaport buried in 79ad by the eruption of Mt. 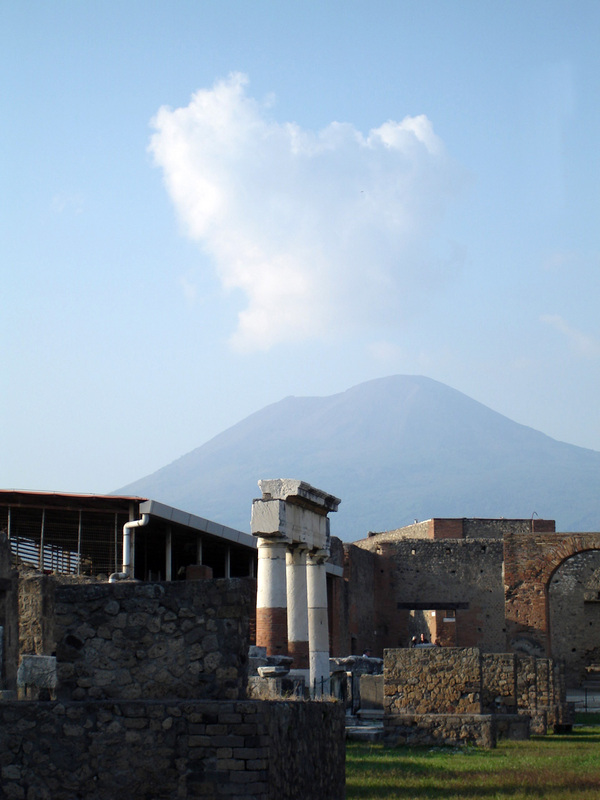 Vesuvius. 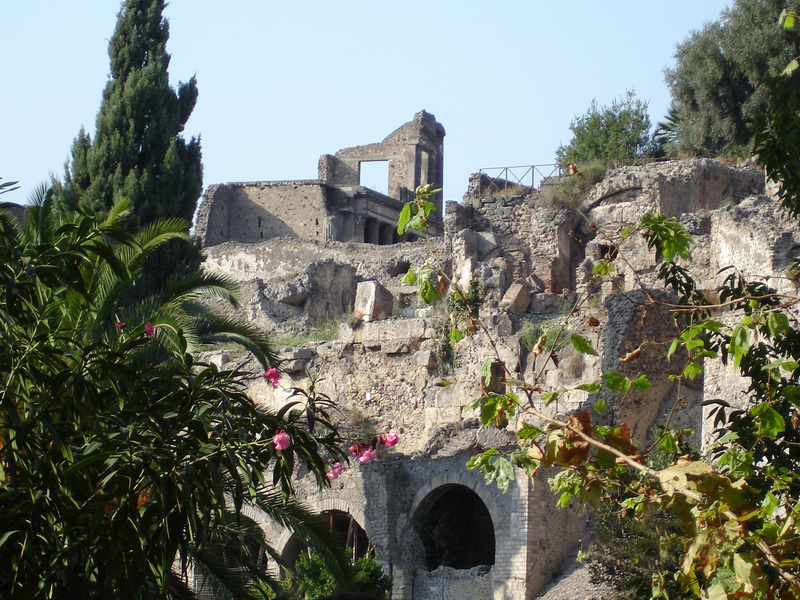 Our tour of Pompeii began on the outskirts of the town where we could see the depth of the ash that covered the town; must be 30 feet. 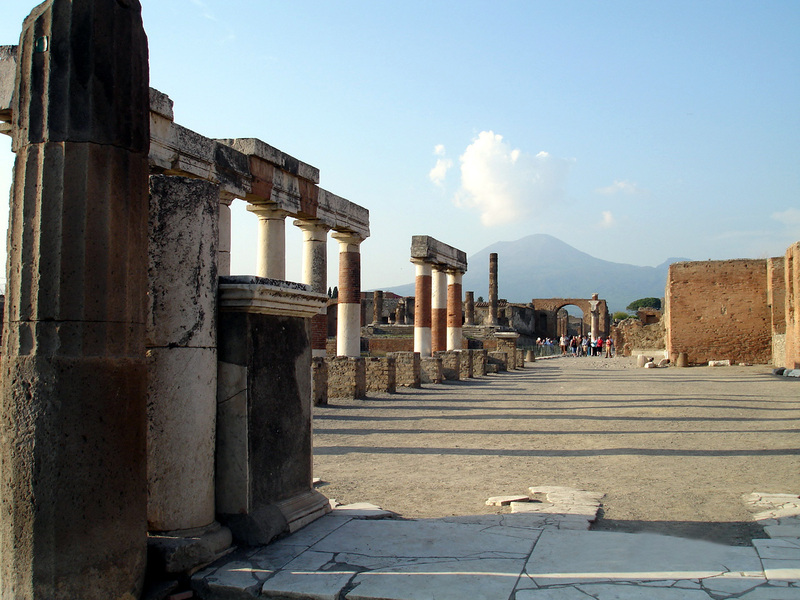 Our guide mentioned that back in ancient days, Pompeii was actually a port city and that the ocean was right at the city’s gates. But over time, the water had receded and is now over a mile away. 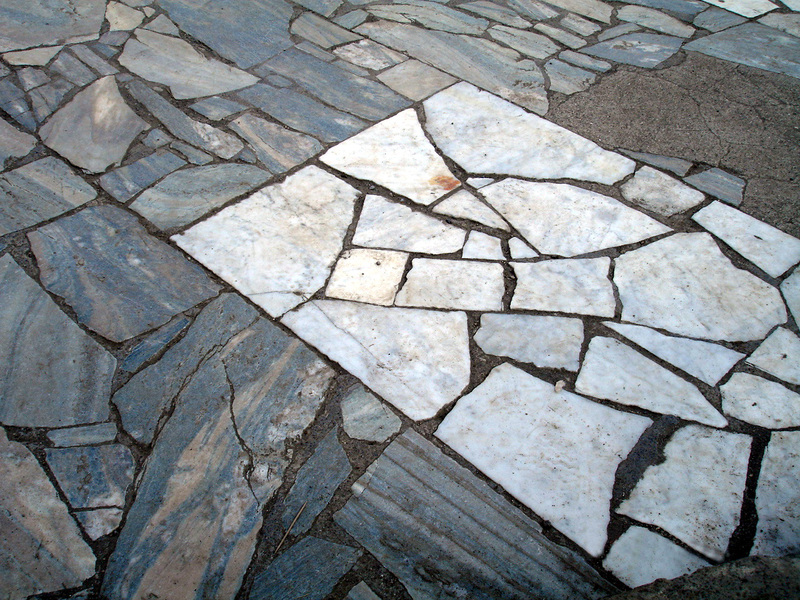 The first sight in the town was a small amphitheater where parts of the original marble floor are still intact. It is one of very few examples to be seen. The amphitheater had a roof and when the ash came down, it collapsed and the roof is what helped preserve the marble floor. We then walked up to one of the main streets into the heart of the town. 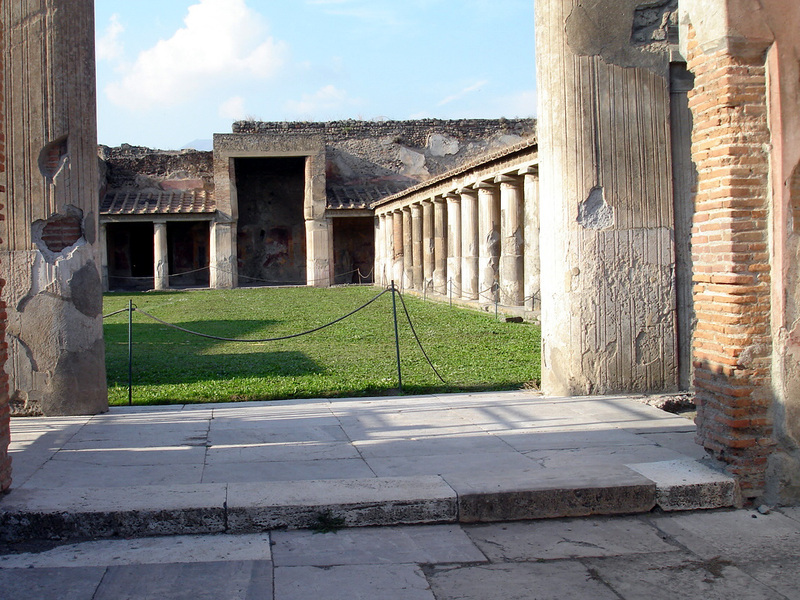 Pompeii had everything an ancient port city needed, bakeries, a market and even brothels! The city is surprisingly modern in many regards. Our guide showed us the first appearance of “fast food.” There were lots of murmurs of disbelief, but sure enough, it really could have been seen as fast food. 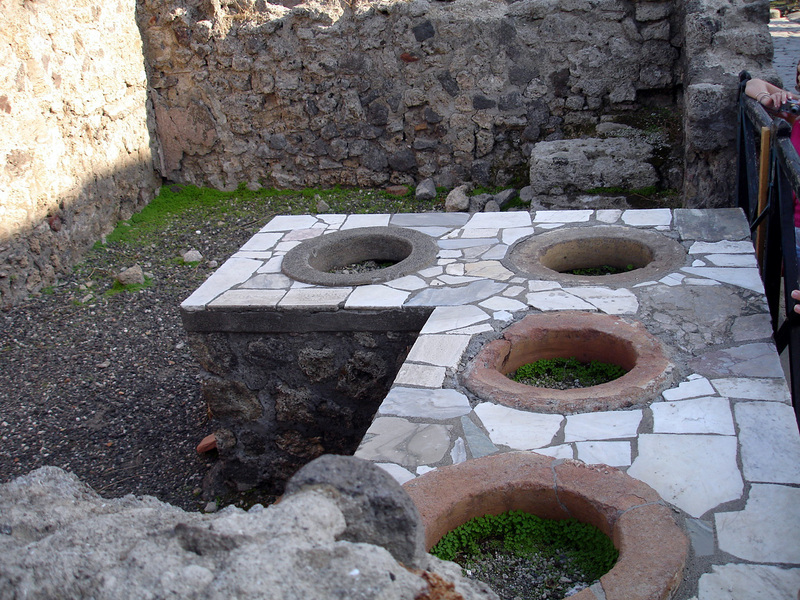 There was a ruin that had holes facing the street that were described as having different kinds of food in them. 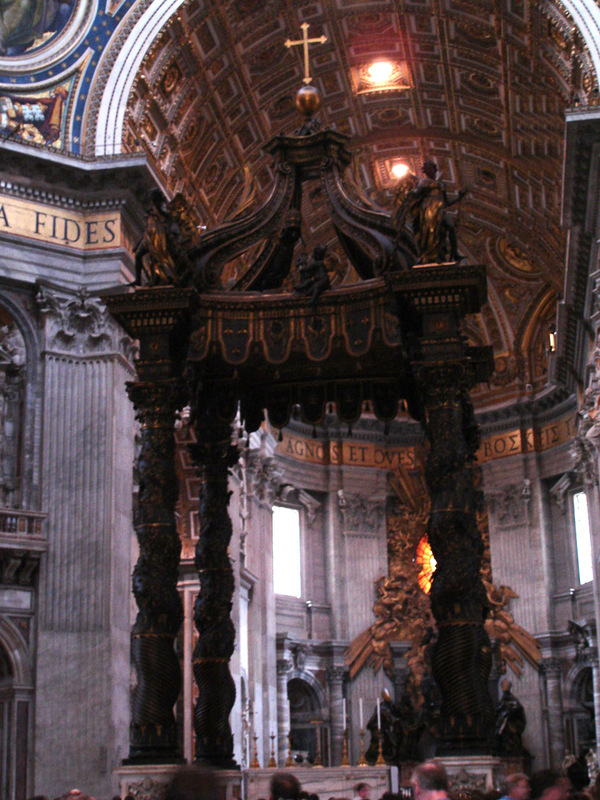 People would walk up and order the food, it would be placed in a cloth or bowls, and off the patron went. Viola! There were even tracks in the structure where the shop keepers would close the doors, almost like a sliding glass door. Pretty amazing how advanced they were for their time! 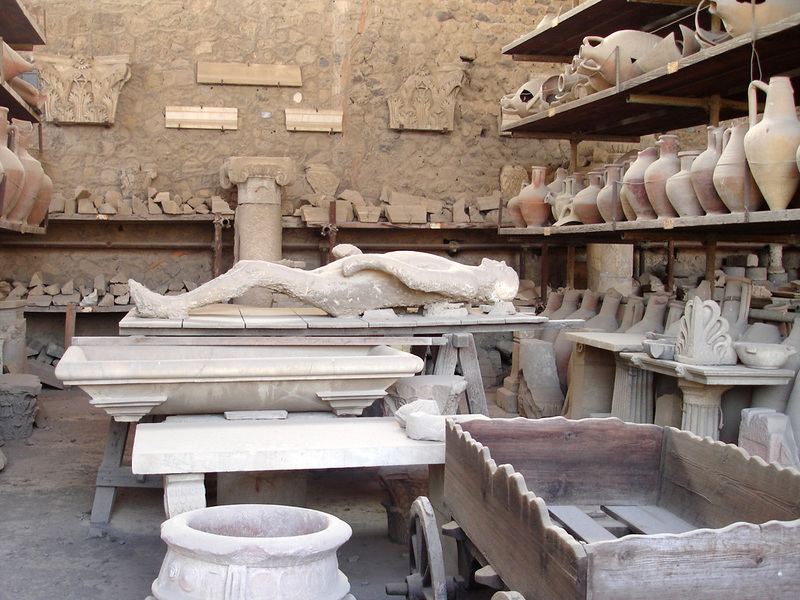 There was a closed-off area next to the main forum where some of the relics, statues and hundreds of amphora were stored. 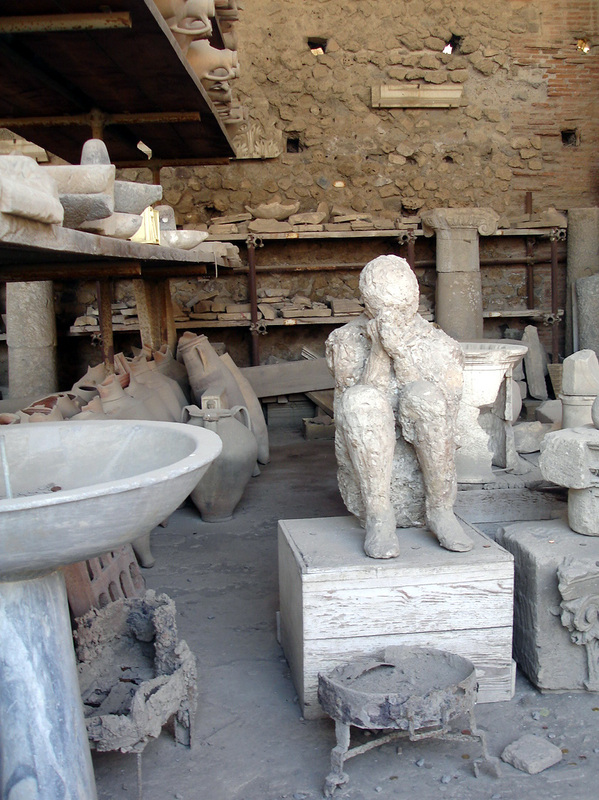 Several of the plaster molds of the city residents who died in the disaster were also on display there. The guide explained that the gases travelled over 700mph and killed everyone instantly. 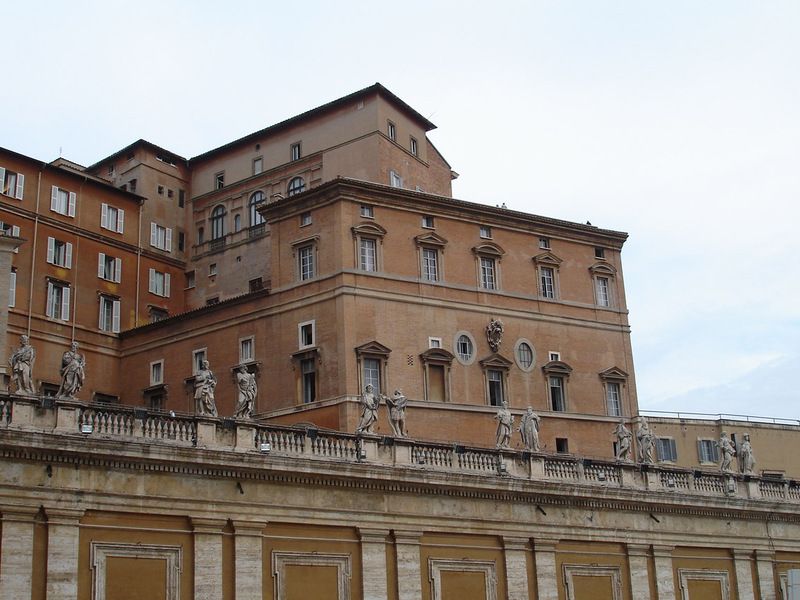 The plaster casts were the result of an Italian archeologist by the name of Giuseppe Fiorelli. He took over the excavations in 1860 and discovered large voids in the ash that contained human remains. 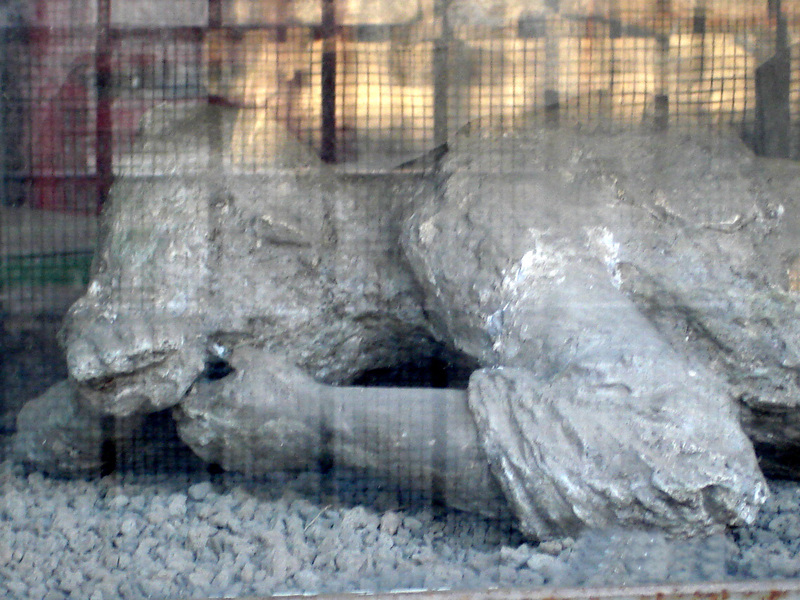 He realized that by injecting plaster into these voids, he could perfectly recreate the forms of Vesuvius’ victims. 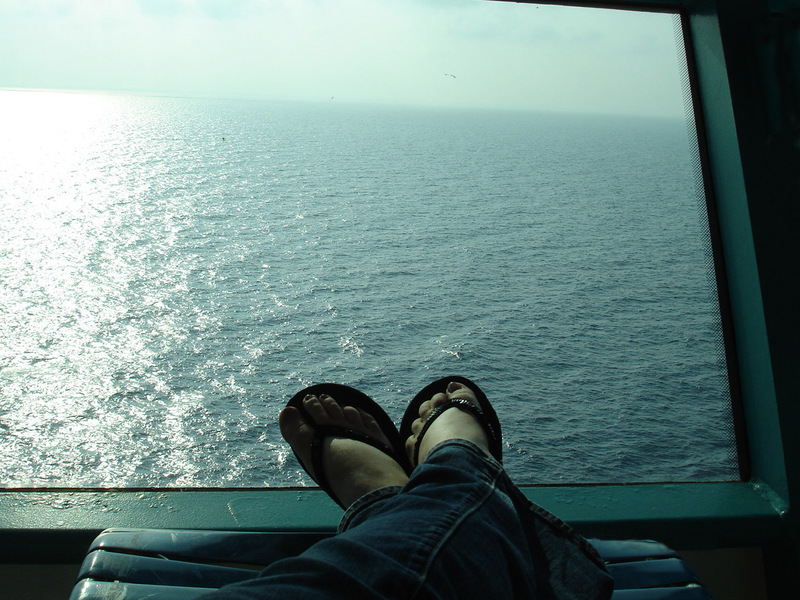 It was another long and exciting day but the next day was an all day cruising day, no port, so we could sleep in. I on the other hand, woke up after 10:00am. Finally, the first day in 3 or 4 days where I was able to sleep in past 6:00am! I spent most of the afternoon watching the big blue ocean roll by, just letting the experience of being on a cruise ship, cruising around Italy, sink in. I went back up to the room to change into formal attire for the Captain’s Reception and Dinner. 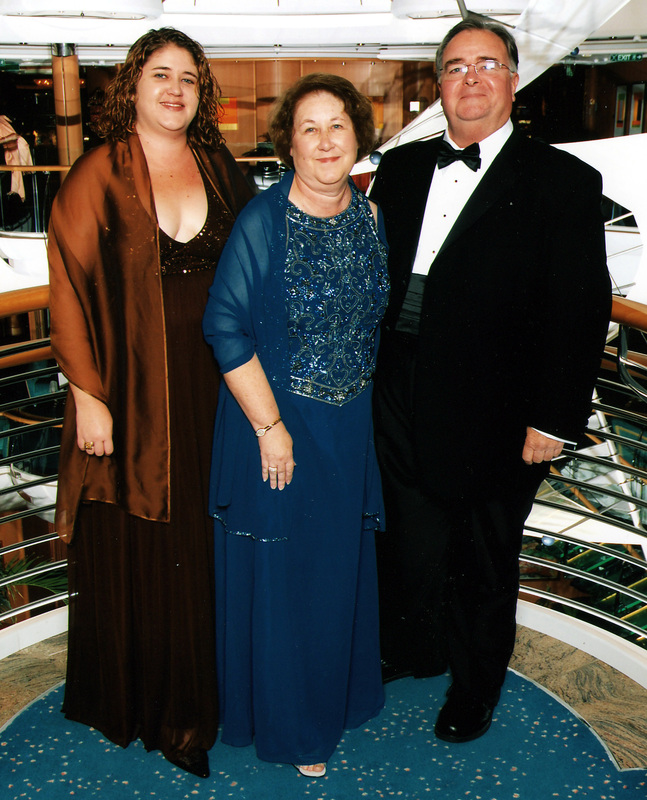 We took pictures with the Captain and had champagne in one of the lounges before our scheduled dinner. 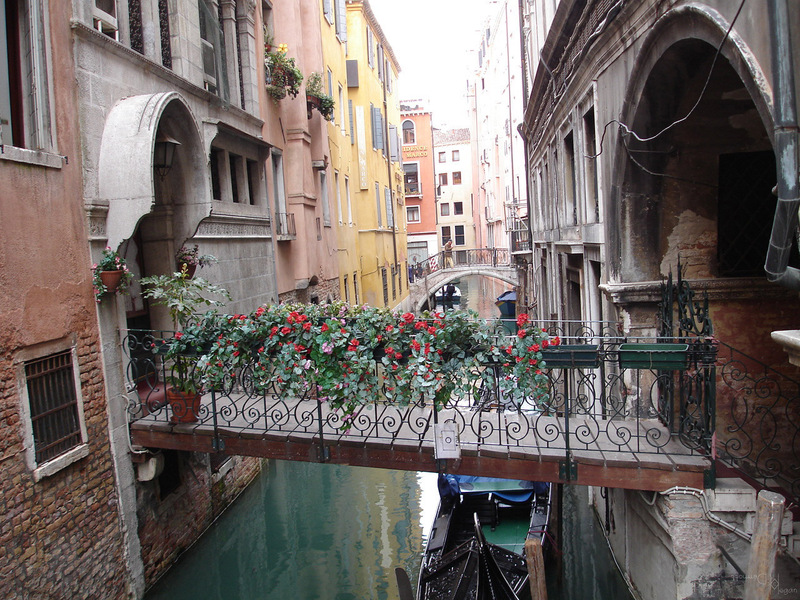 After breakfast, we began to make our way into Venice. The view from our balcony was the perfect spot to watch us come into port. We, again, took a million pictures! 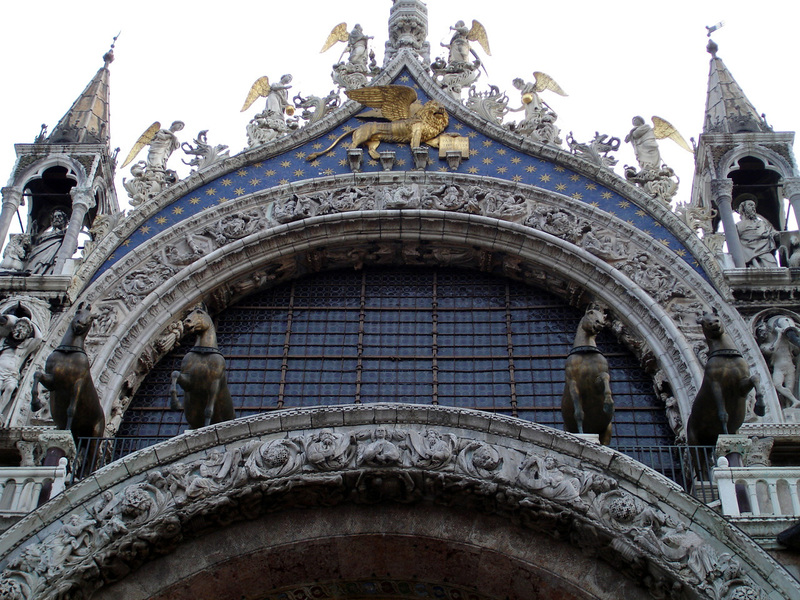 Our excursion that day was the “Doge’s Palace, St. Mark’s Cathedral, and the Glass Showroom.” Our first photo opp. 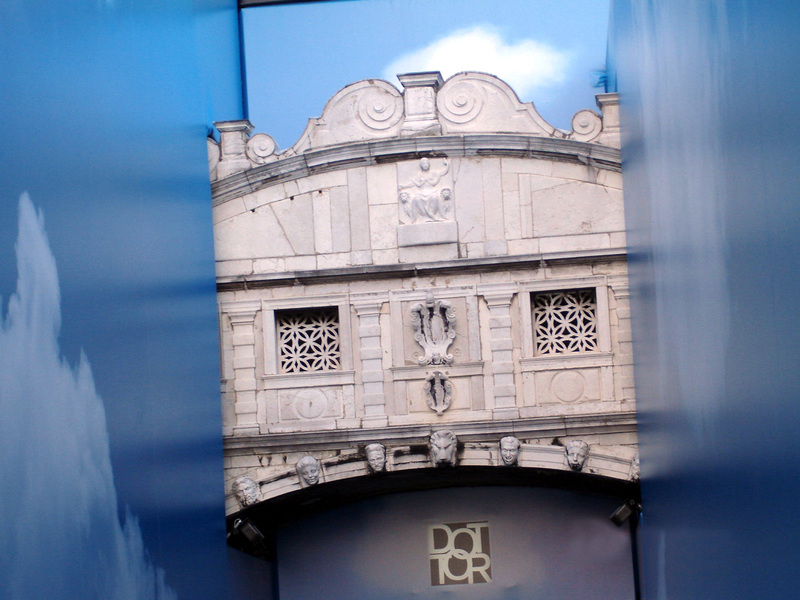 was the Bridge of Sighs, named for the “sighs” that escaped convicts lips as they took their last glimpse of freedom while they crossed over from the interrogation room in the Doge’s Palace to the prison. We, however, could not “sigh” because it was half covered up by an advertisement! 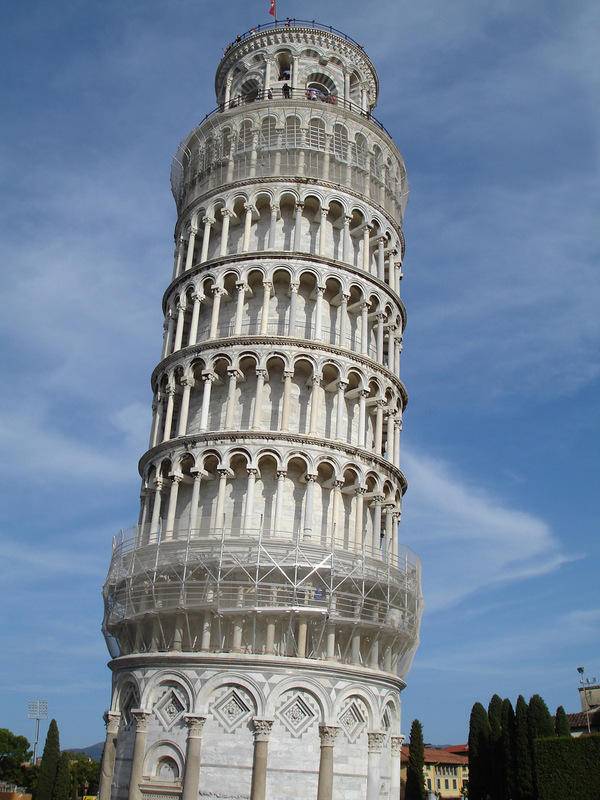 I work in advertising and can understand the genius behind this, but as a tourist (and I’m sure the locals weren’t happy about it), on vacation to one of the most visited cities in Italy, I was outraged! I’m not sure where I heard this, but either our tour guide, or a guide on the Water Taxi explained that every time you cross a bridge in Venice, you are actually crossing onto an island. 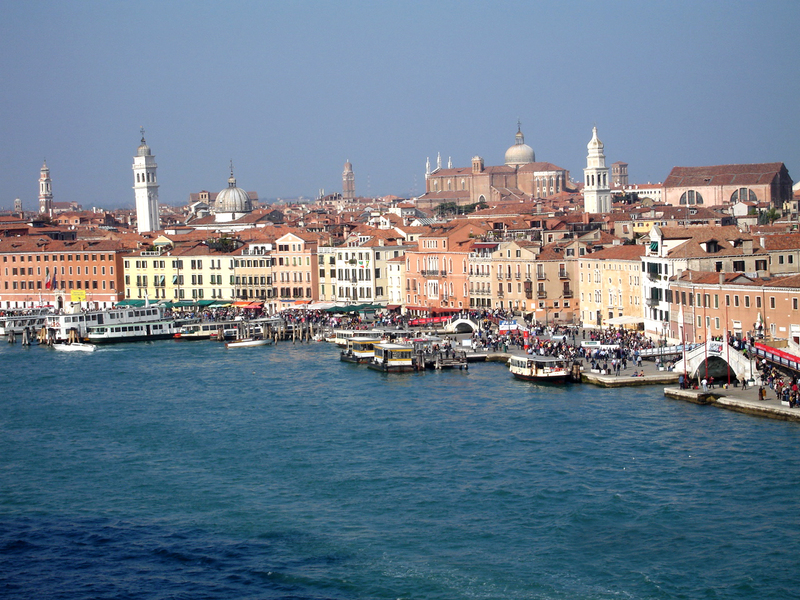 Venice is composed of over 100 different islands and over 100 canals! 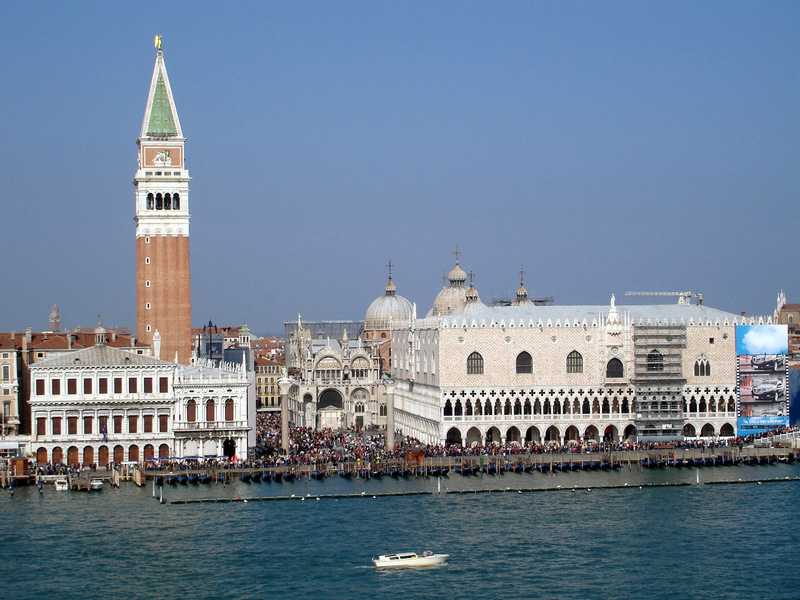 We then continued on to the Doge’s Palace, which our guide said pretty much meant “Duke.” The walkie-talkies that were handed out for us to listen to the guide’s lecture were less than perfect so I ended up tuning her out most of the time and just enjoyed the sights. 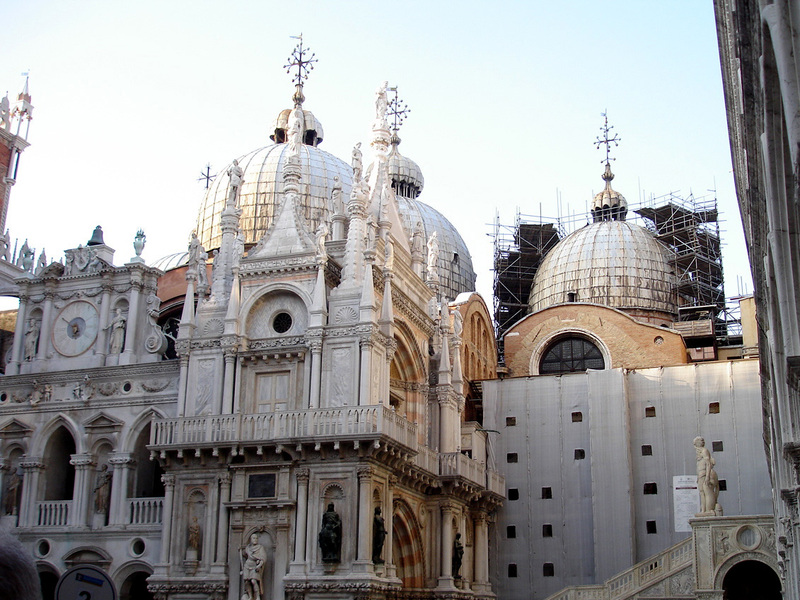 After the palace we were led back out to the square so we could go into St. Mark’s Basilica. 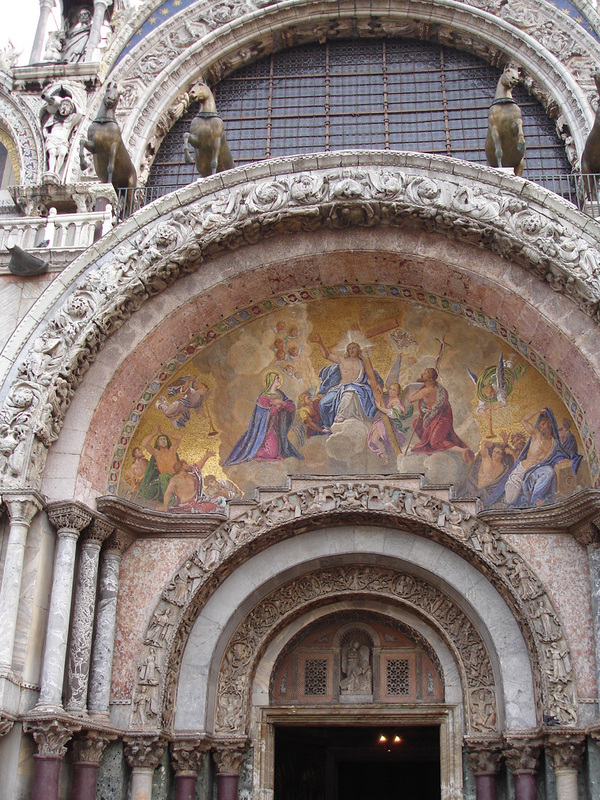 St. Mark’s is decorated entirely in gold mosaics on the inside. Every square inch, the floor, ceilings, and every wall had a mosaic on it. Because of preservation efforts, there was no photography whatsoever in the cathedral, although I did see some tourists snapping pictures. We didn’t even have time to stop at the kiosk at the end to buy a postcard because they were closing! 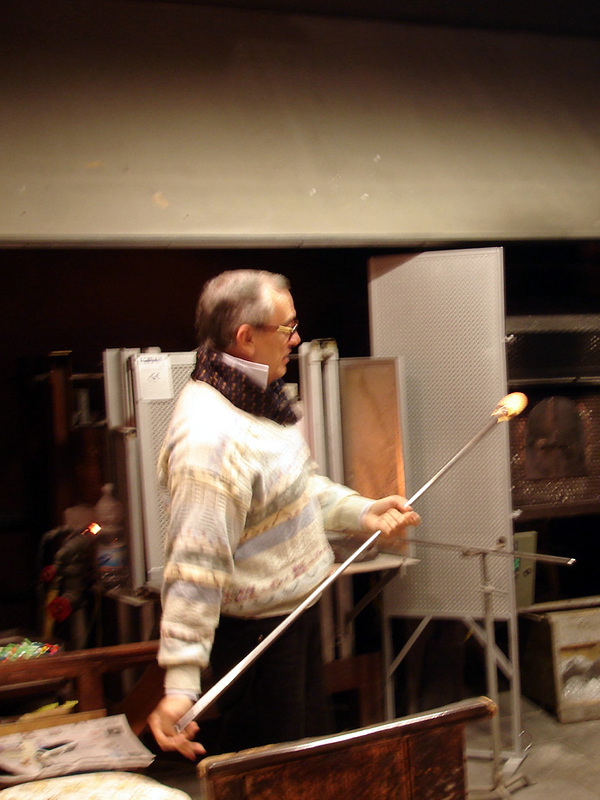 After we exited the basilica, we headed through some Venetian streets to the Glass shop. 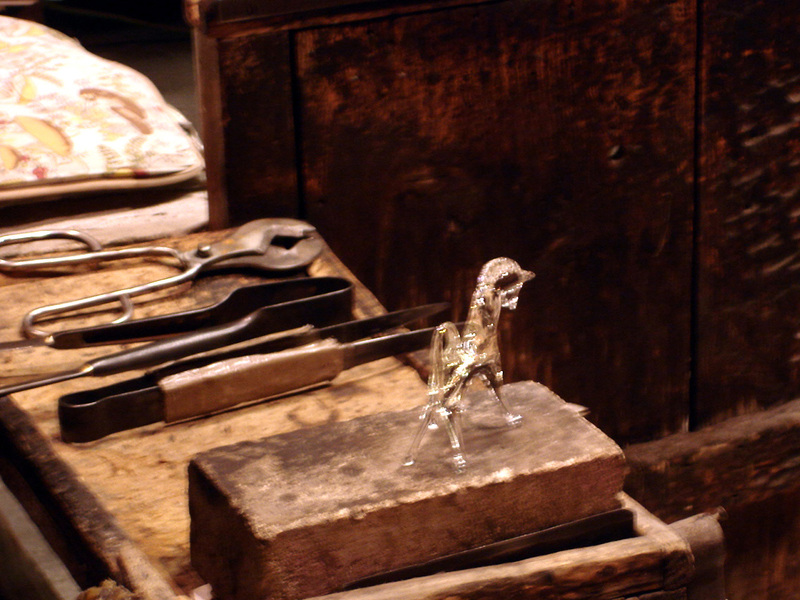 We watched a “Master Glassman” literally make a small vase and a horse in a matter of minutes out of a lump of glass. It was amazing! We then headed back to the Water Taxi, to the boat, dinner, and bed. 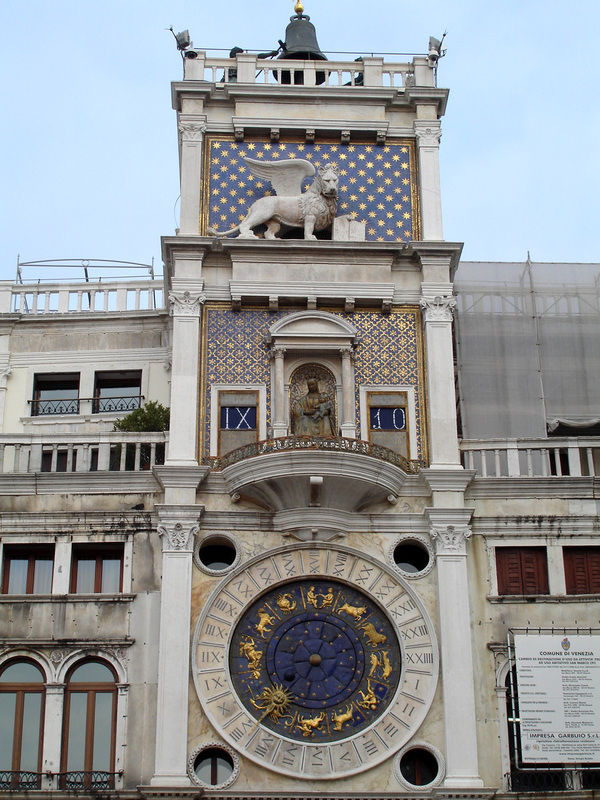 We had an excursion planned “The Masterpieces of Venice,” so we woke up early as usual, around 6:30am, had breakfast, and then headed to the theater to meet our group. No one mentioned to us beforehand that it had been cancelled! Up early for nothing! But, we decided to head into town anyway and brave it on our own. We walked around St. Mark’s Square, snapping tons of pictures along the way. Dad was cold and tired from walking around, so he decided to head back to the boat early. Mom and I walked around looking for a good restaurant to eat in. 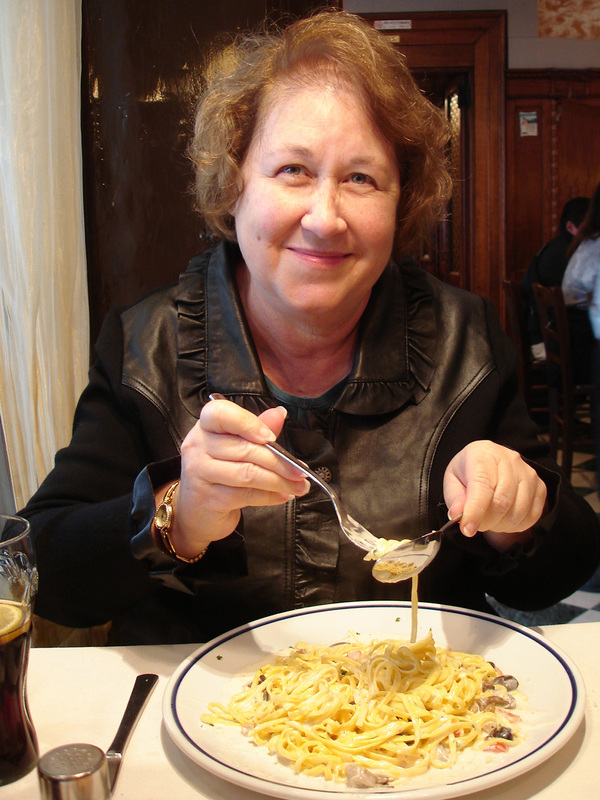 I ordered an authentic Italian pizza, which wasn’t all that spectacular, but mom ordered some sort of mushroom fettuccine which was fantastic! We went into a few more shops, and then we got some authentic Italian Gelato! 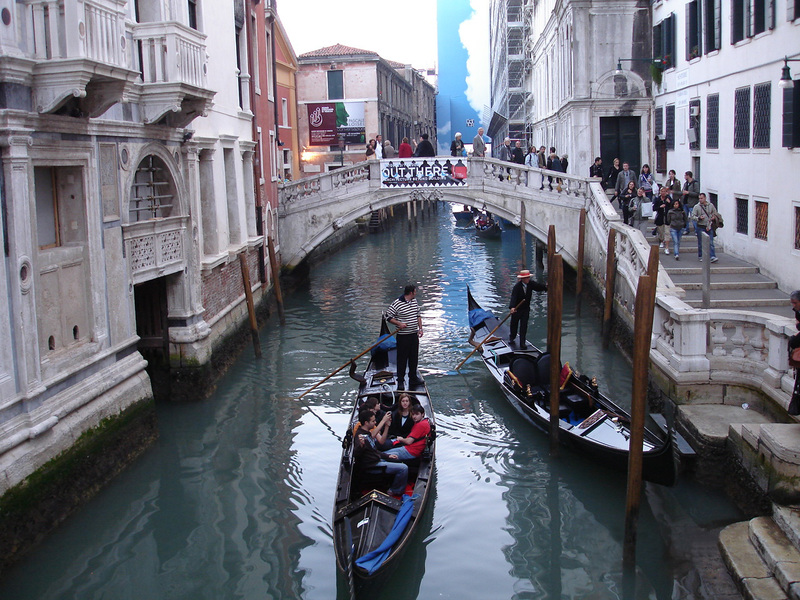 We asked one of the gondoliers how much a spin around the canals was, too much even for a once in a lifetime experience, so we headed back to the boat. We were scheduled to tender in Split, Croatia, but awoke to the boat pitching and rolling. The captain made an announcement that because the seas were so rough, we would not be staying in Croatia, that we would instead head to Malta. 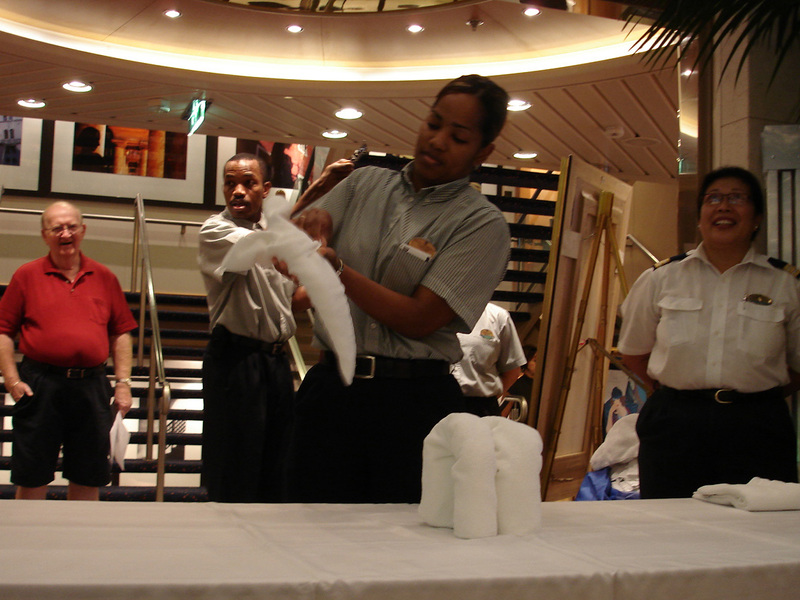 The cruise directors then had to scramble to get activities and entertainment together because it was not a scheduled “cruise” day. After breakfast, we all went in our own directions. I read for a while, then headed to the big theater to watch Ghostbusters (which was the highlight of my day). That day was an actual scheduled cruise day. After almost 10 days of non-stop sightseeing, it gets boring looking out the window and seeing nothing but water. I’m not sure if I could handle a Trans-Atlantic cruise with days upon days of cruising. 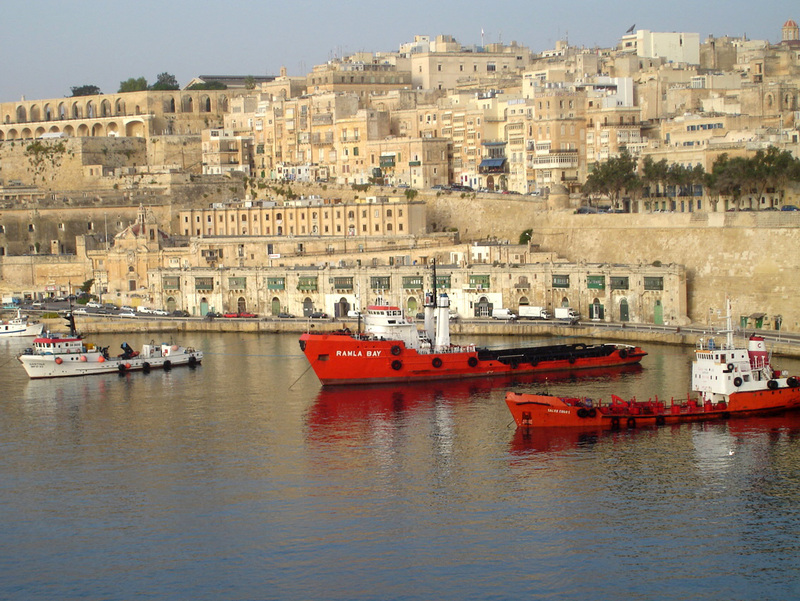 We arrived in Valletta, Malta, early in the morning. We had our usual buffet breakfast then headed to meet up with our excursion group. We had a scheduled tour for the “Blue Grotto Boat Trip & Marsaxlokk.” We were told that because it was an overcast day and the seas were a little rough, that the actual boat trip into the blue grotto was cancelled. We were given the option to still see Marsaxlokk, or we could get a full refund and explore the city on our own. We decided to go ahead with the tour. We boarded the bus and headed into town. Our guide was, how should I say it, a little boring and repetitive? 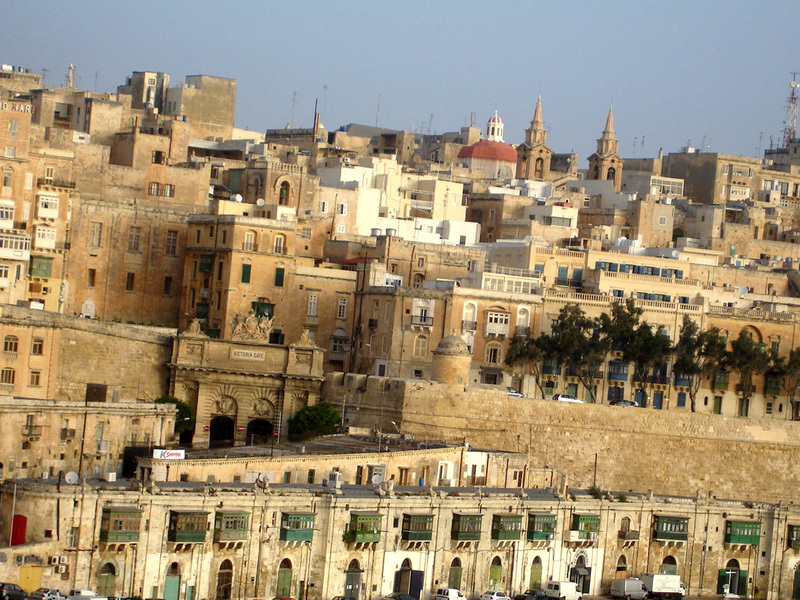 The only interesting thing I learned about Malta was that it is made up of five islands, and that their language and culture was a mixture of British and Arabic. 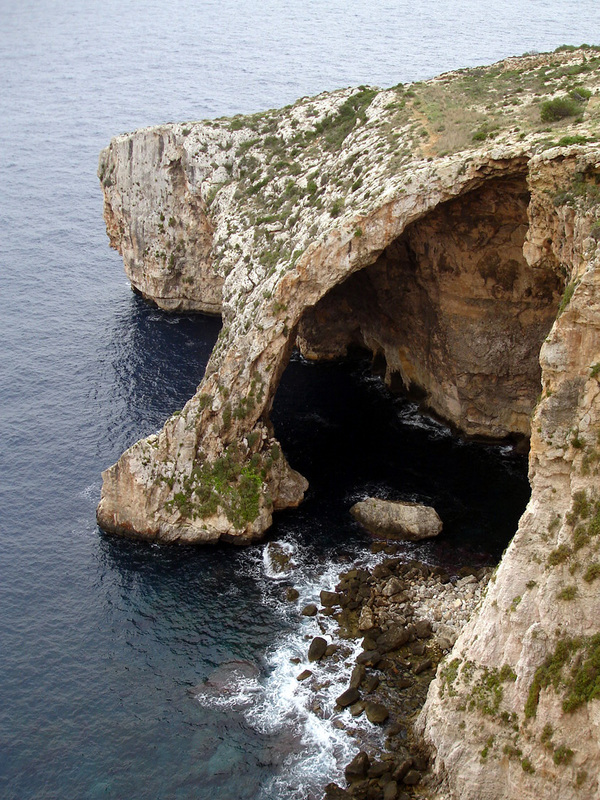 We arrived at the Blue Grotto and was able to take pictures of it from above. I think it would have been a very interesting thing to see, another time perhaps. 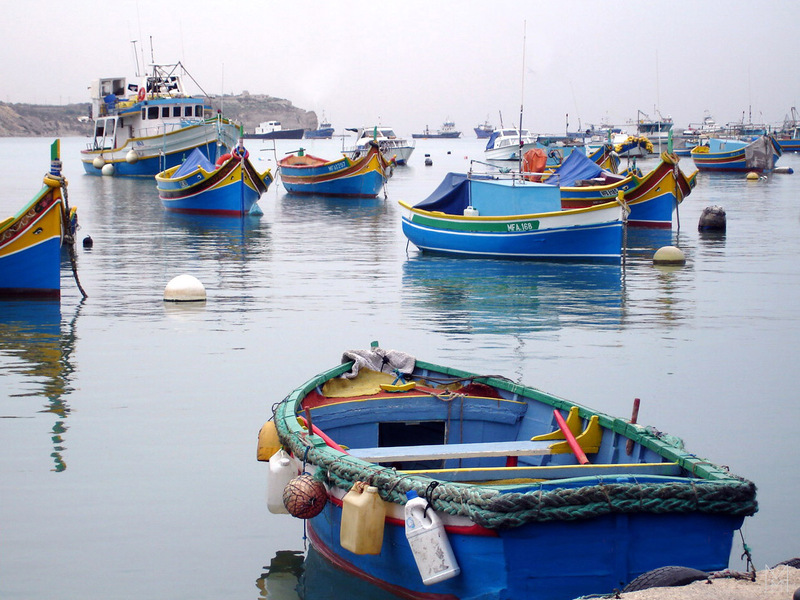 We then headed to the town of Marsaxlokk which is famous for painted fishing boats. We got off the boat and wandered around the street vendors and I took lots of boat pictures. Our final day at sea. 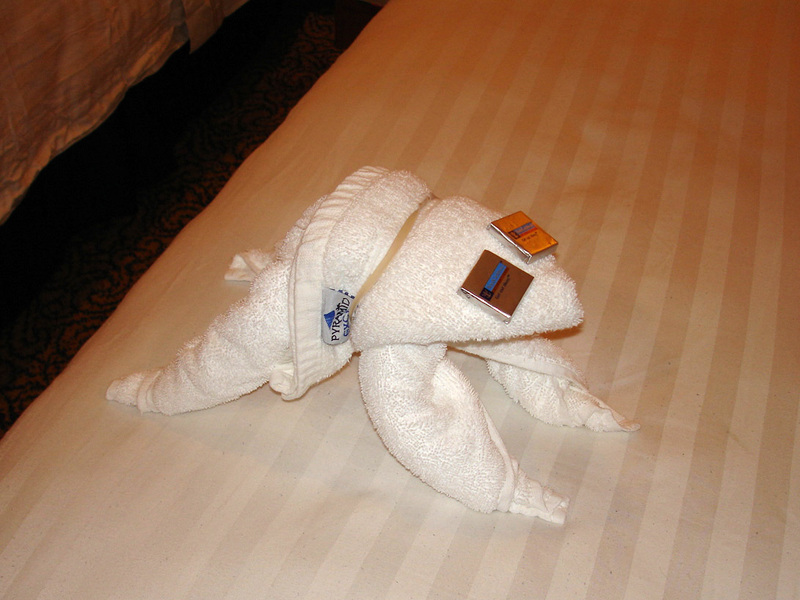 I had wanted to sleep in, but the very first activity scheduled that morning was a towel folding demonstration. 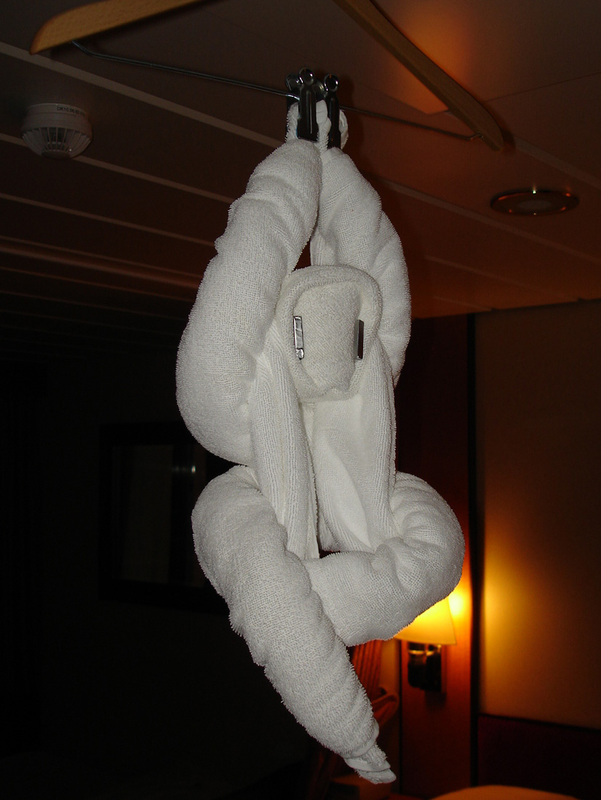 Our stateroom attendant had left us towel animals every evening and we were all dying to see how they were made. There wasn’t much else going on that day, so dad and I decided to wander around the boat and ended up “attempting” to play miniature golf. It ended up being a very “interesting” game, with the wind, and the boat rocking! Later in the afternoon, mom and I watched a movie in the tiny movie theater in the back of the casino. We later joined a ton of people in the big theater to play Bingo! We went to our final dinner in the dining room. Said goodbye to our table mates, our head waiter, and assistant waiter, who were all very pleasant and made our meals extremely enjoyable. We then headed to the final show in the theater, then back to our room to finish packing. We awoke already in port in Barcelona. From our balcony, we watched as everyone’s luggage was unloaded from the bowels of the boat onto a conveyor belt to the bus terminal. They unloaded people in groups according to when their plane departed, and of course we were in the last group. We found our luggage, found our bus, said goodbye to the Brilliance of the Seas and the best vacation EVER! It was a monumental vacation in more ways than one. 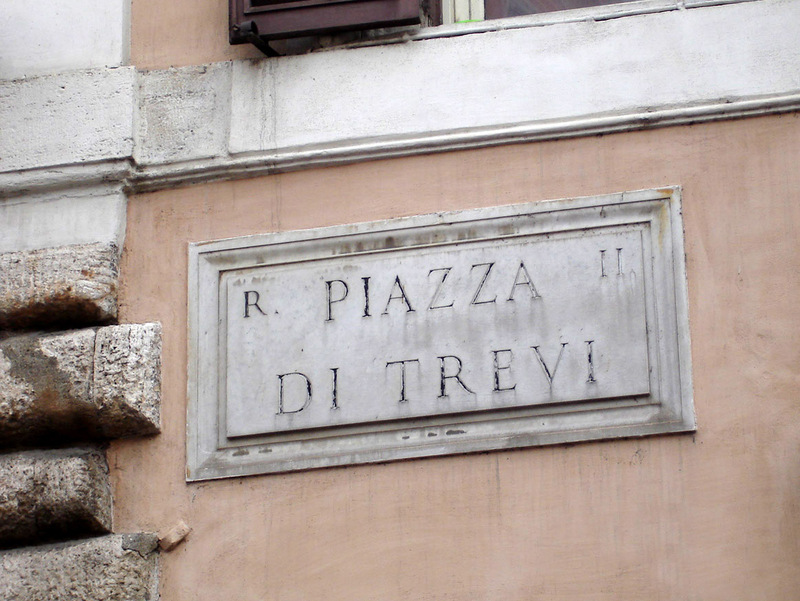 I find myself scrolling through the “Italy Cruise” photo folder on my desktop quite often. I do wish I had paid a little more attention to the tour guides, but also wish I had had the time to just sit on a bench, close my eyes and take it all in. But in my hastiness to see the next thing, get to the next stop on the itinerary, I feel like I rushed the experience a little. I definitely plan on going back at some point in life, without a tour group, to go and see what I want on my own time. Fabulous! Good comments and good choice and editing of the images. This was a LOT of work but very worthwhile. You need to back and recreate travel logs for other places you’ve been where you took pictures. Is there a “story” in your post graduation road trip from Flagstaff to VA? I wish we could be back in Europe again. Traveling that way sure is a lot of effort even though they try to make it as easy as possible. Yes, we do need to pick someplace and stay for a few days and go deeper into that location. Buy lottery tickets!